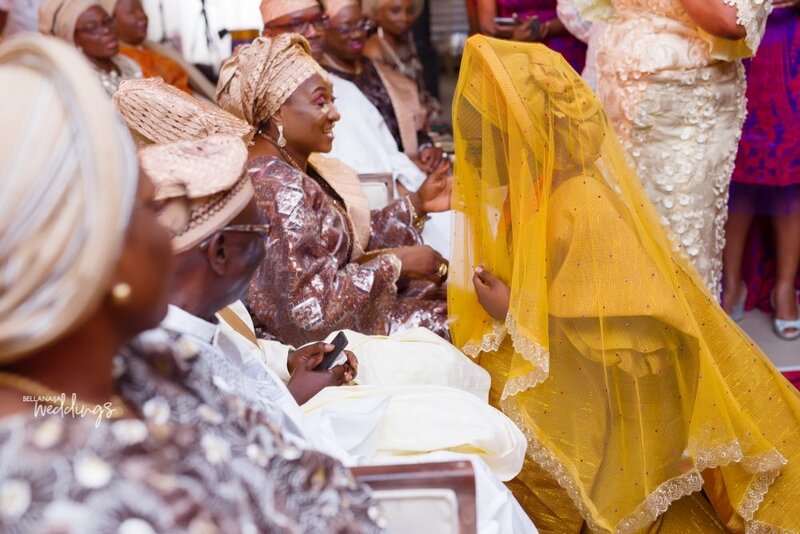 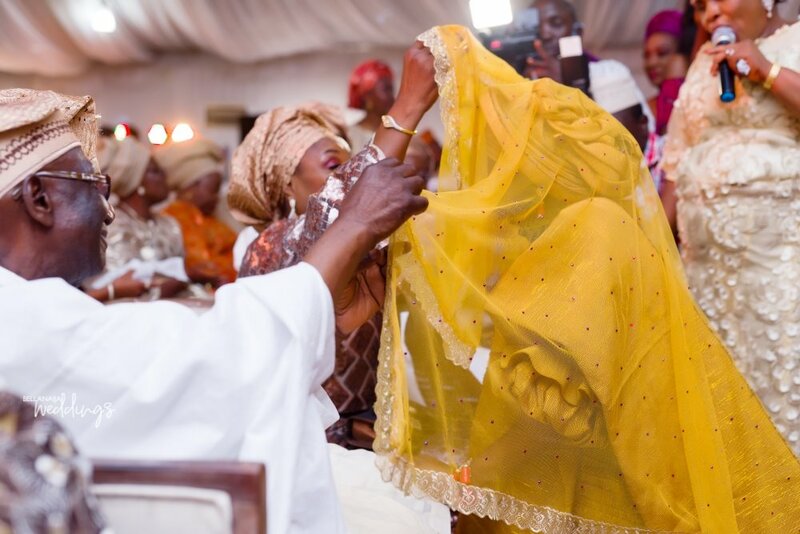 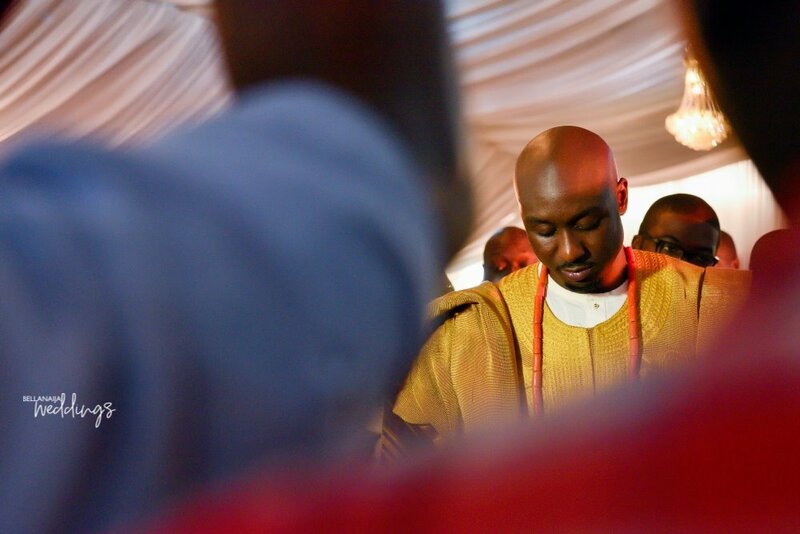 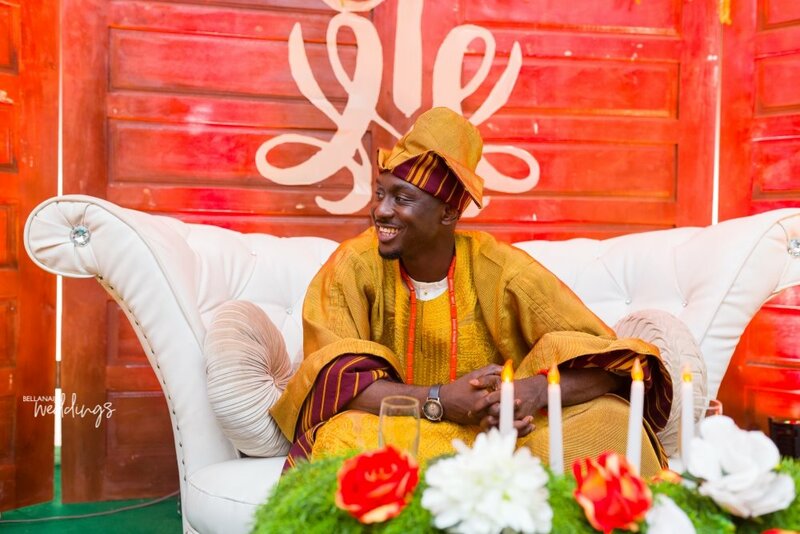 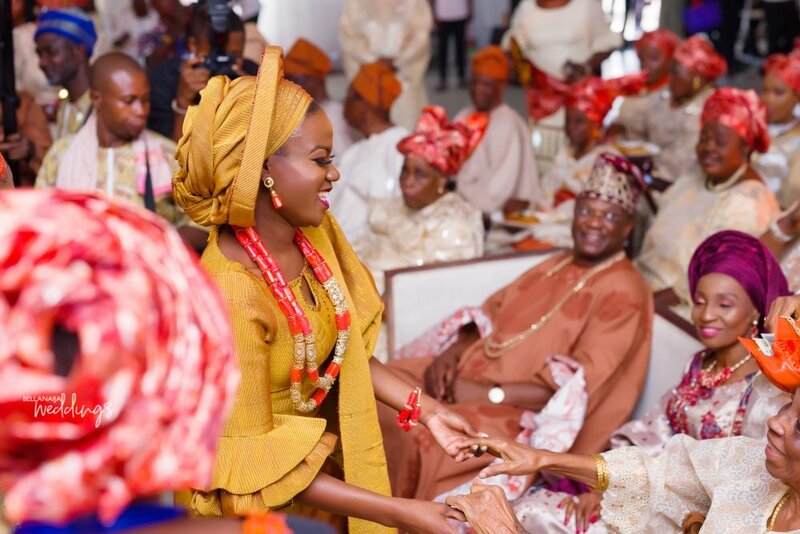 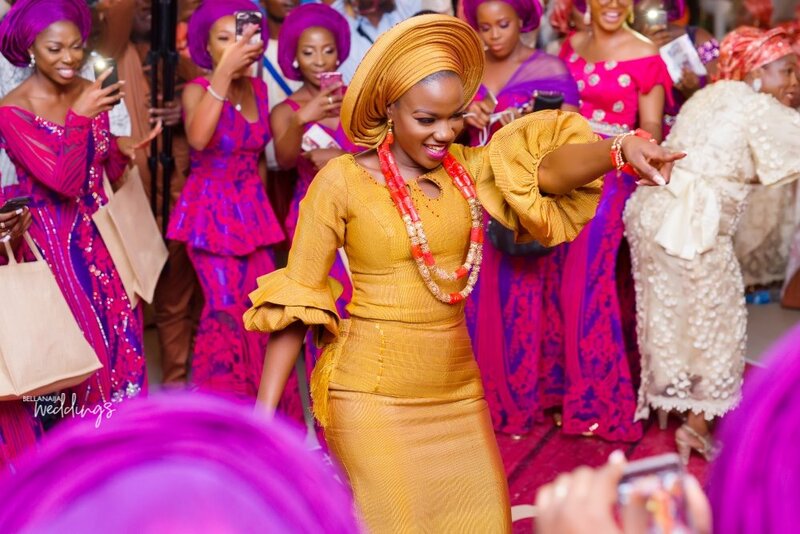 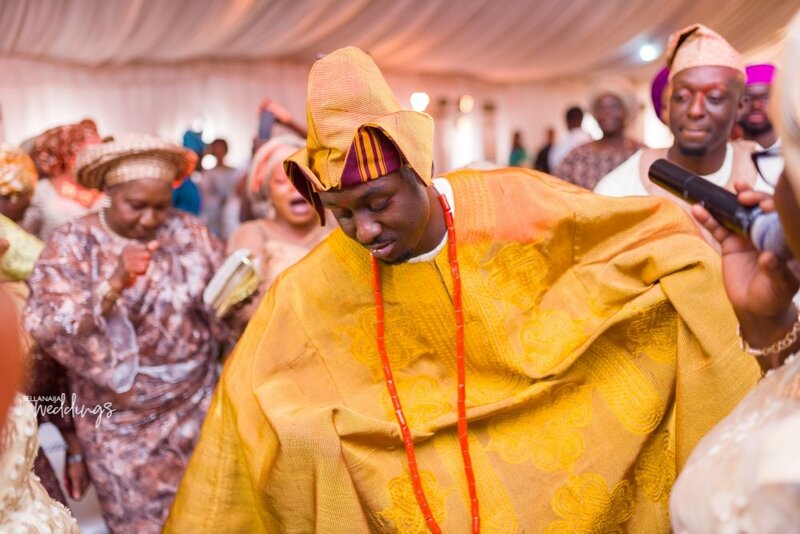 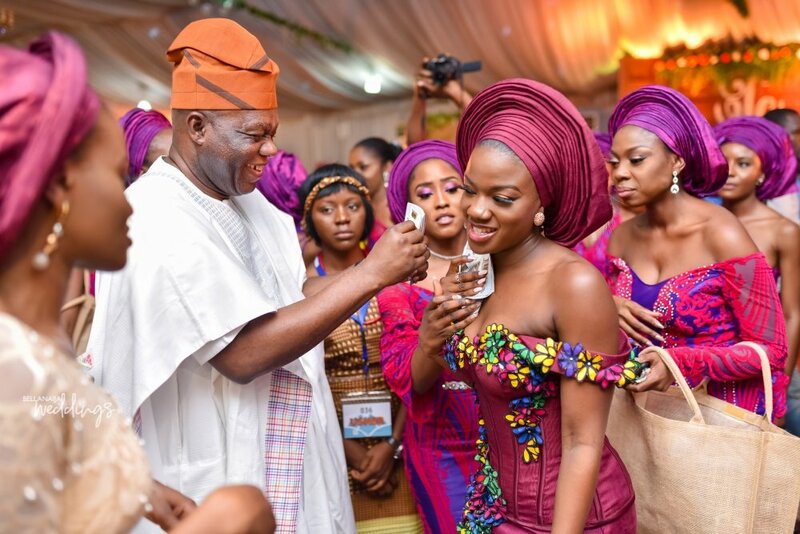 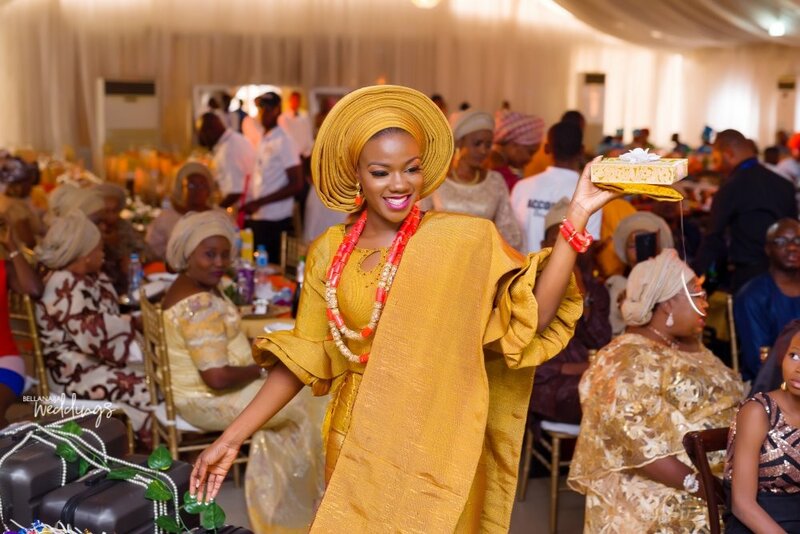 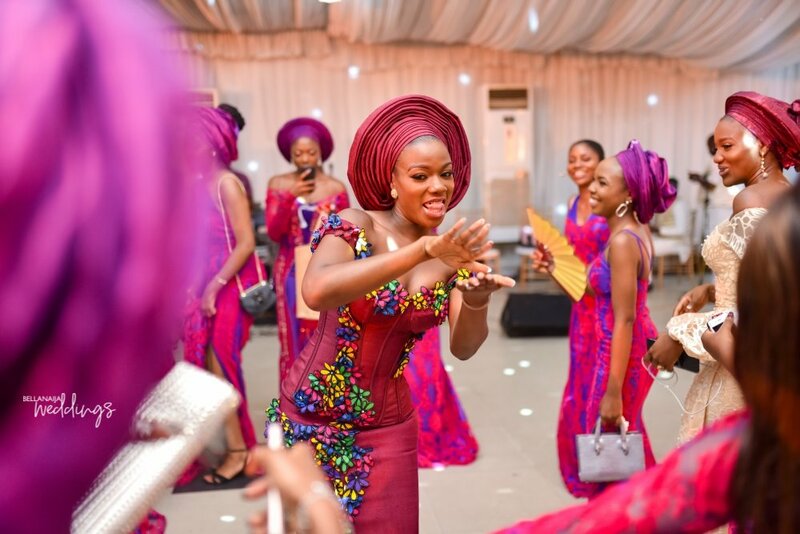 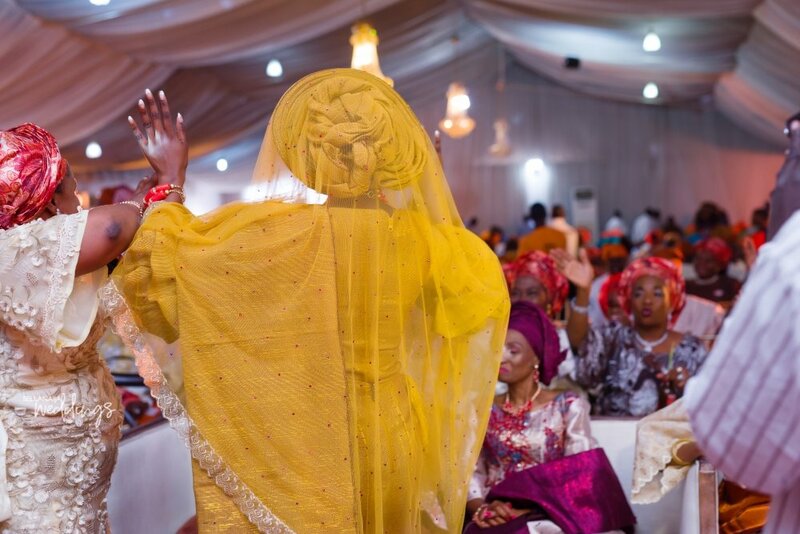 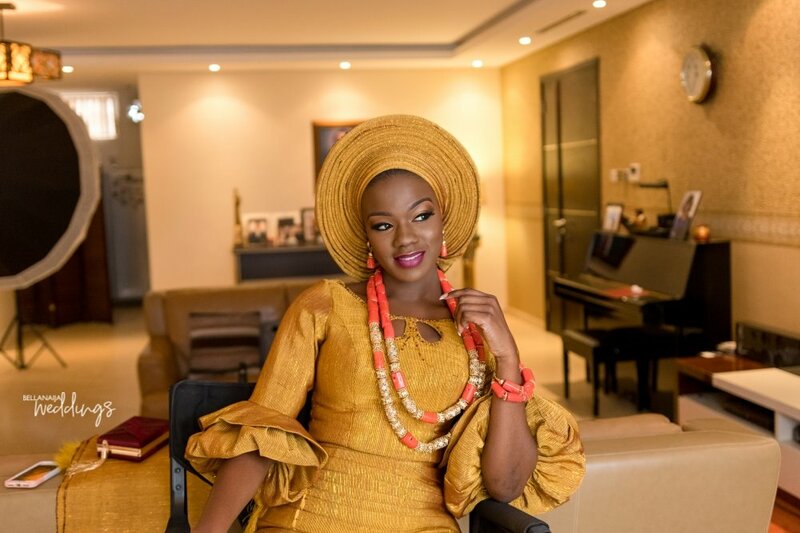 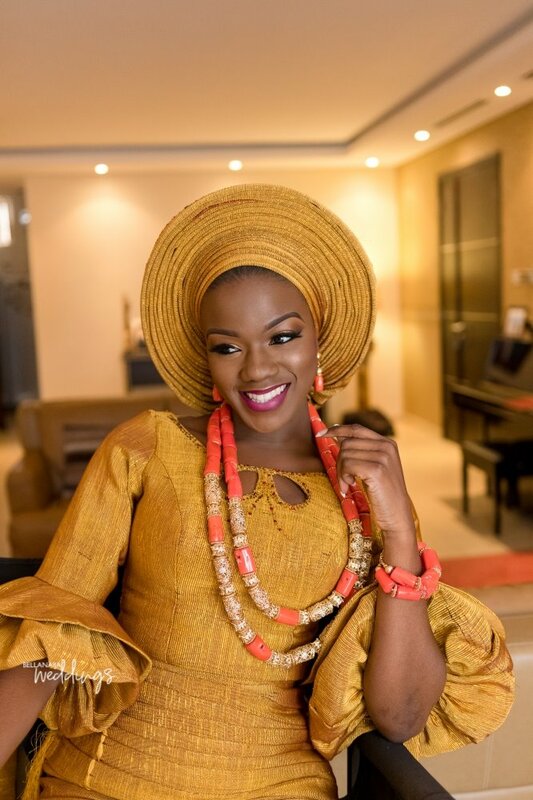 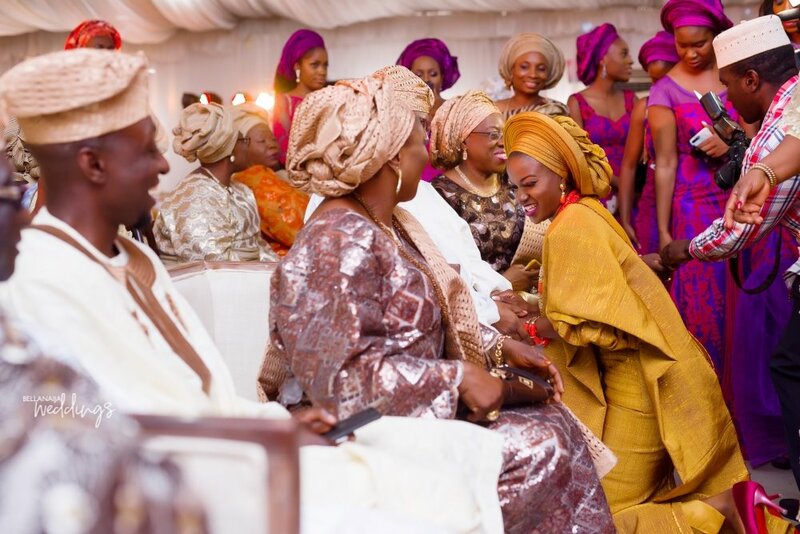 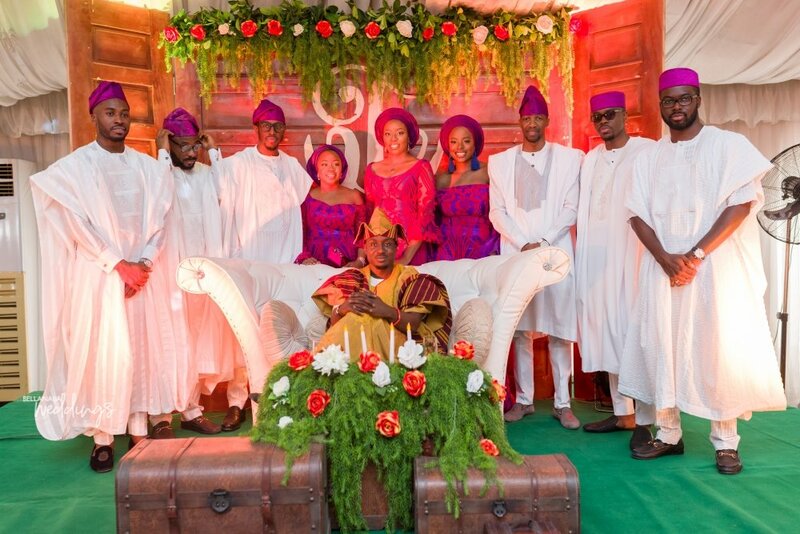 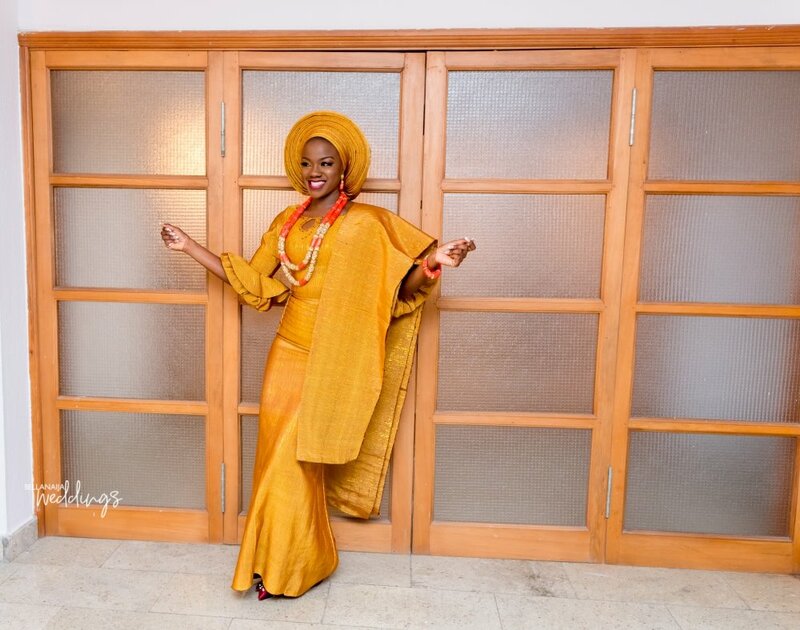 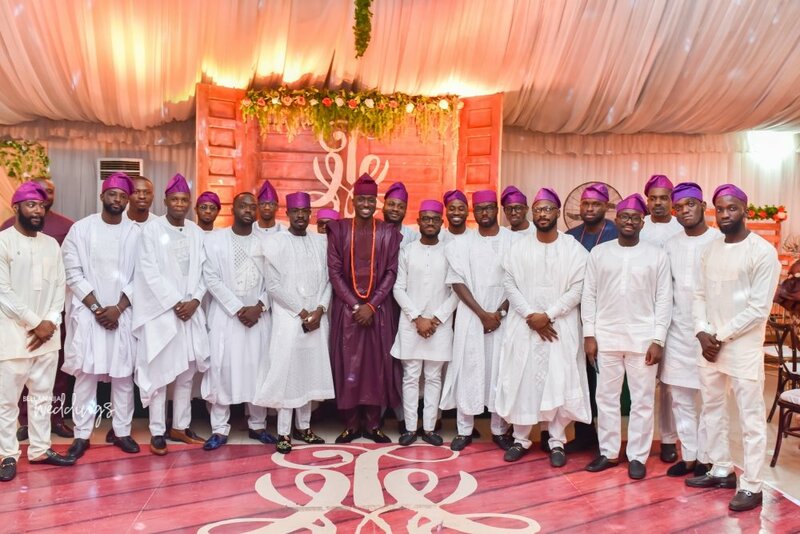 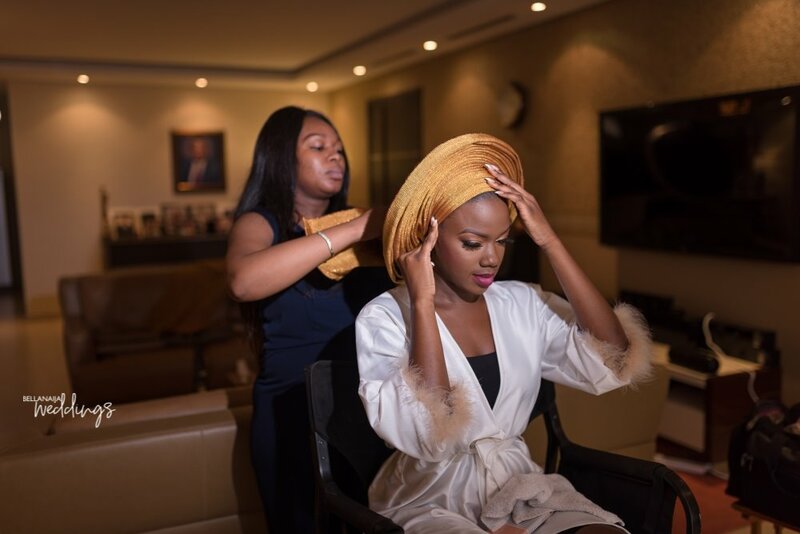 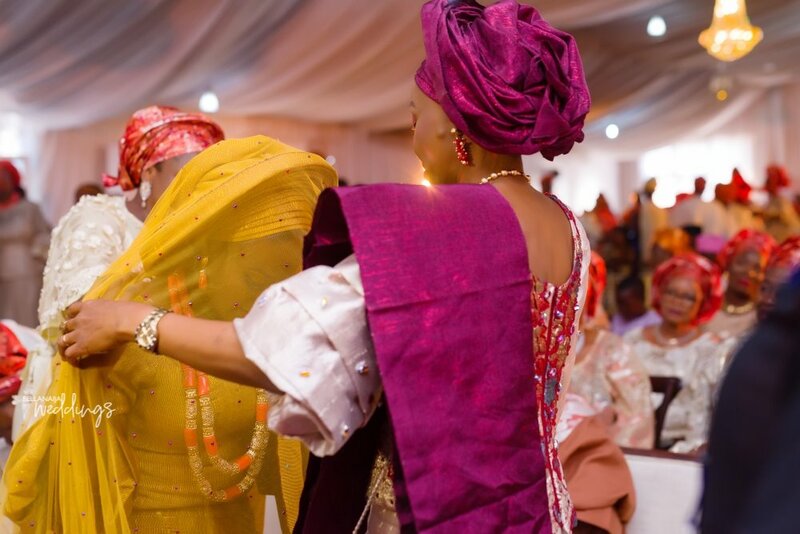 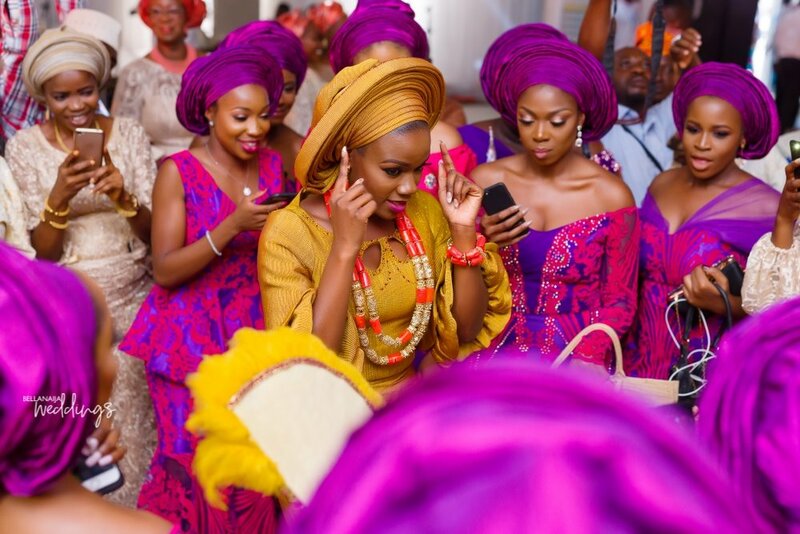 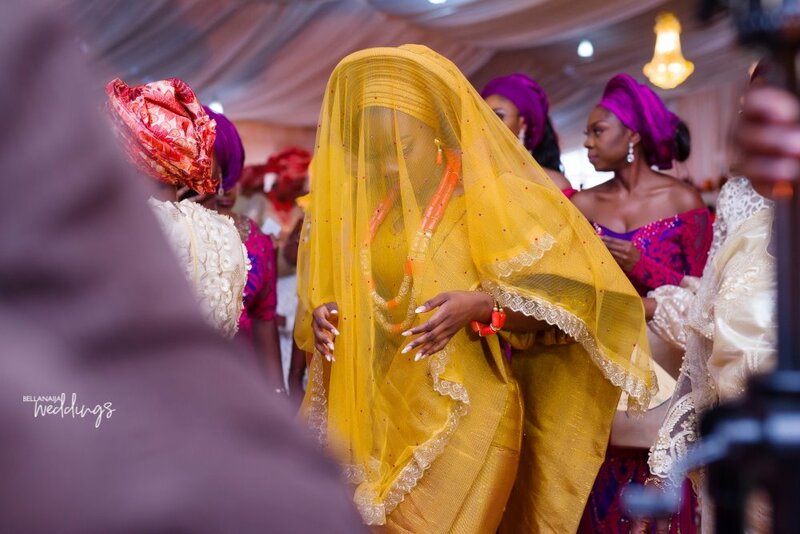 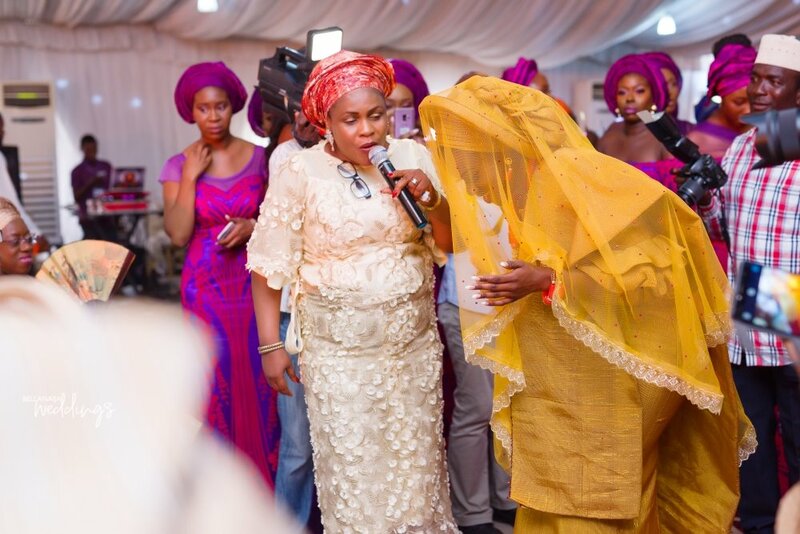 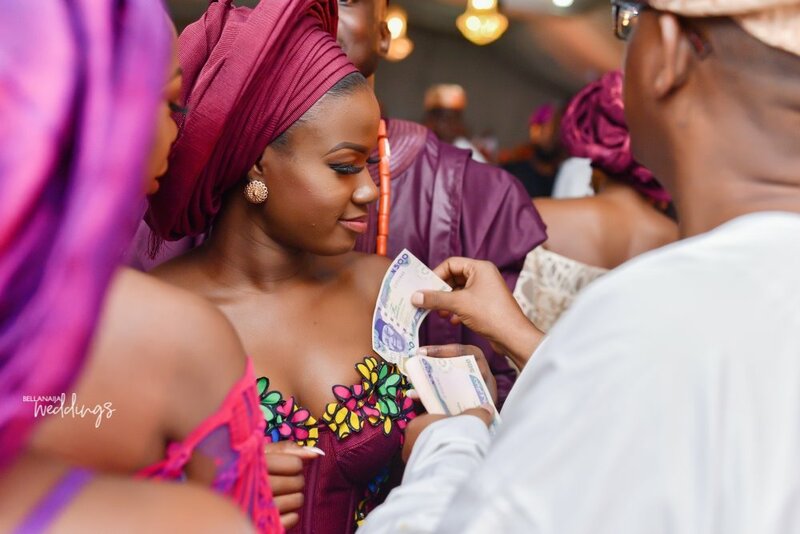 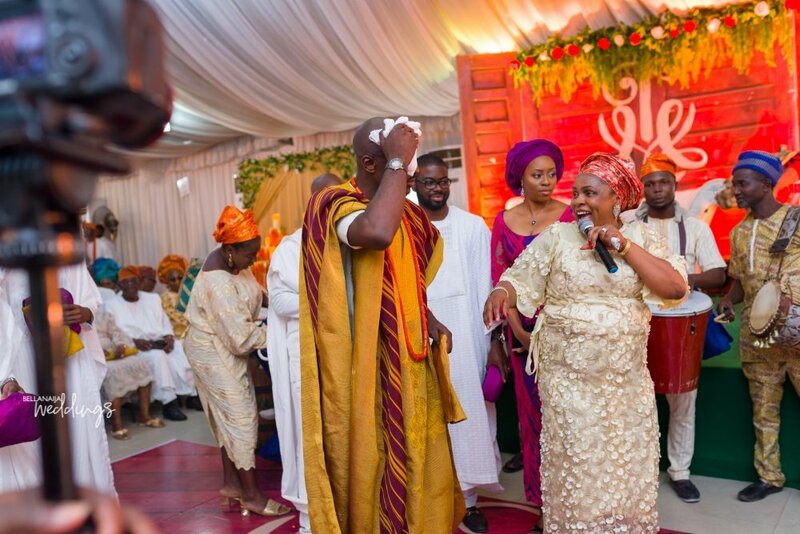 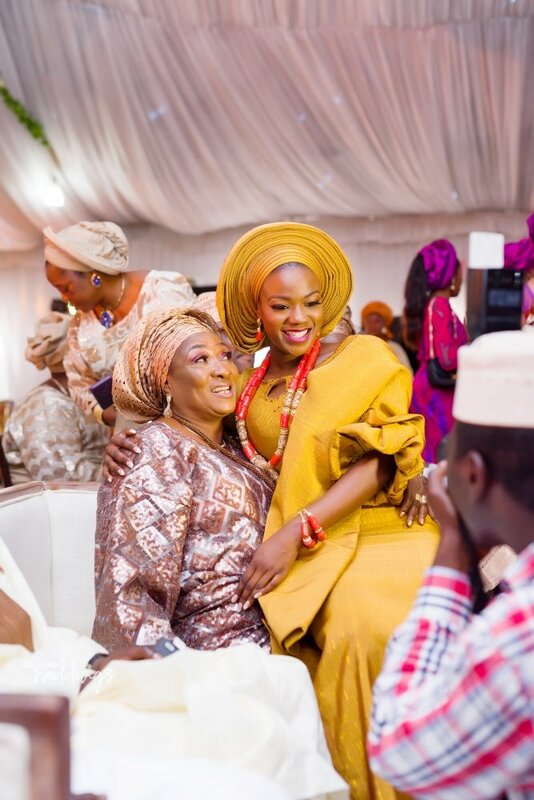 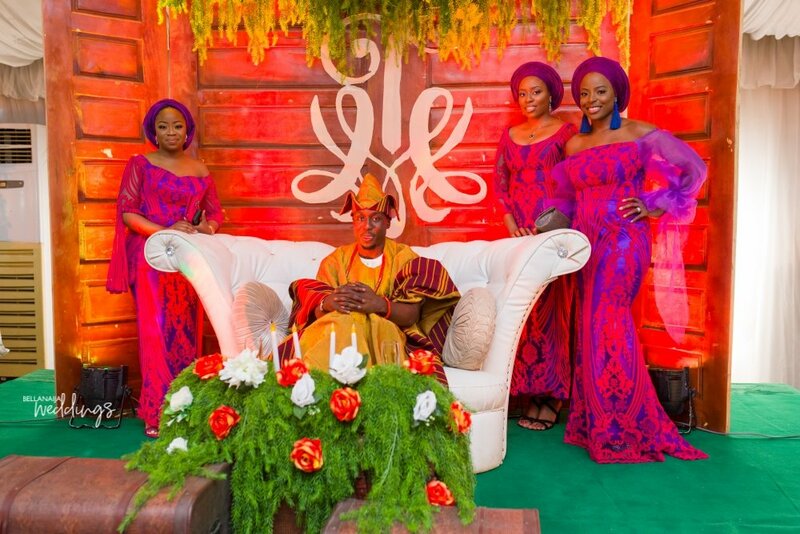 BBN Wonderland bride, Tomi and Lekan‘s traditional engagement was one full of colours. 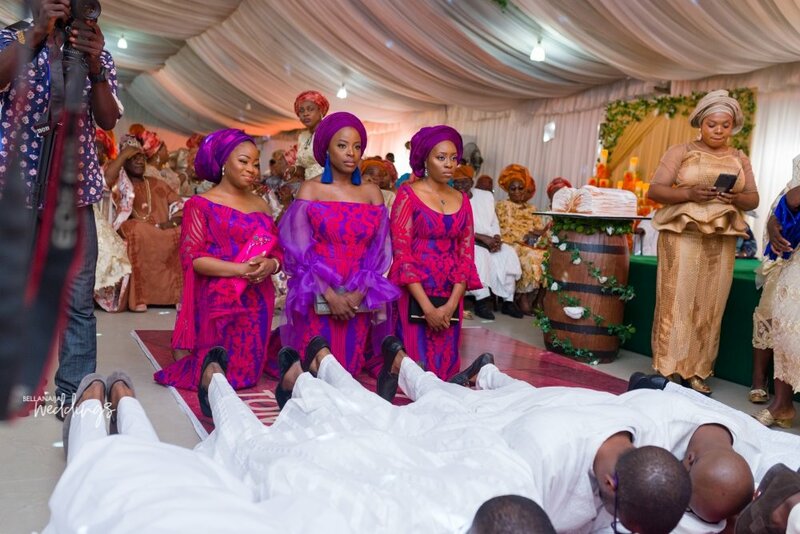 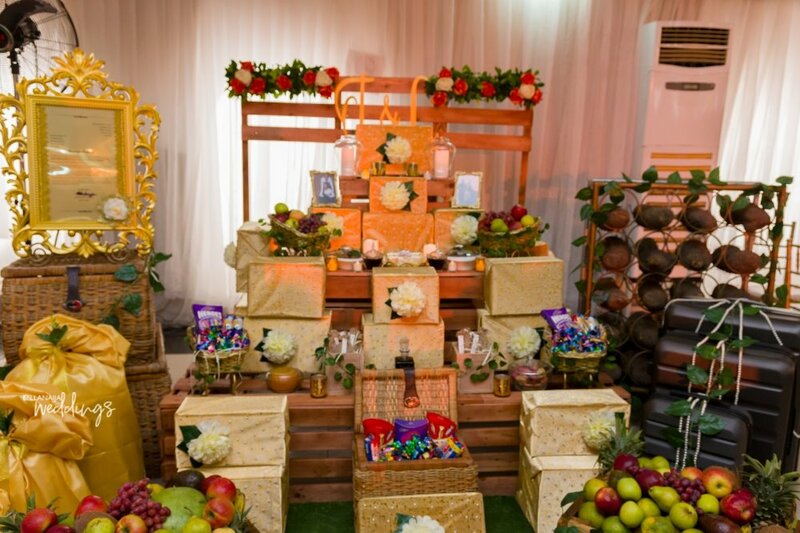 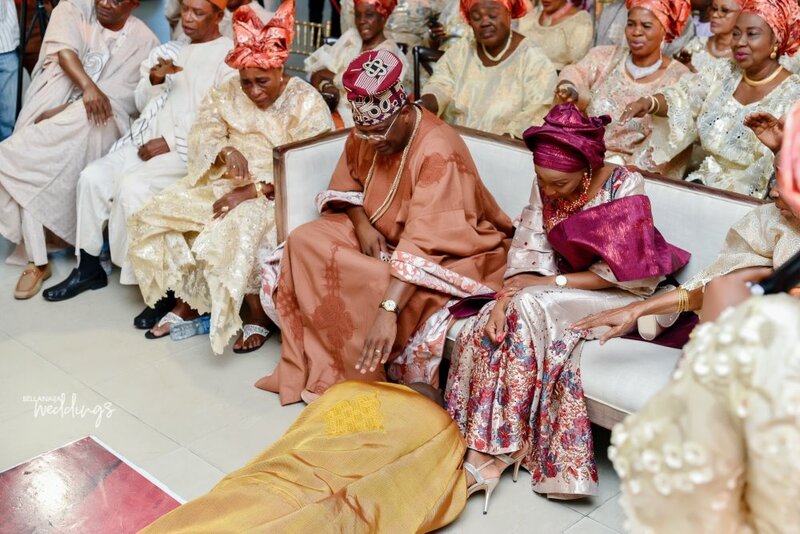 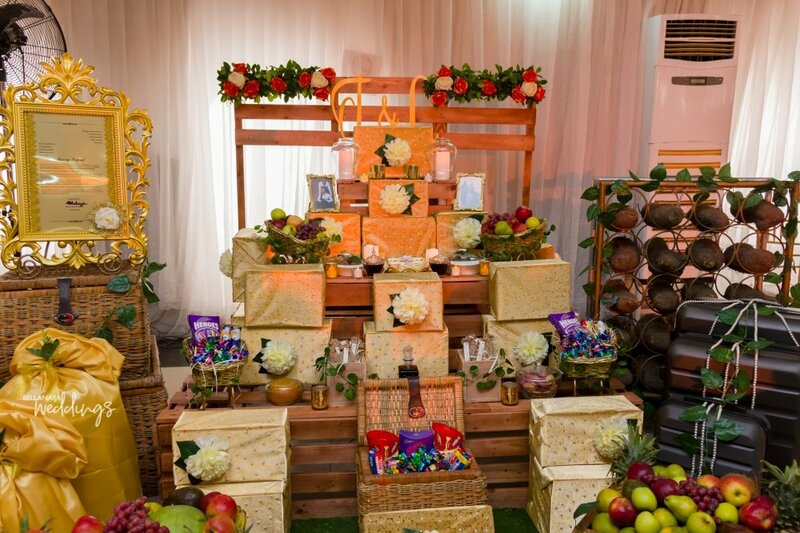 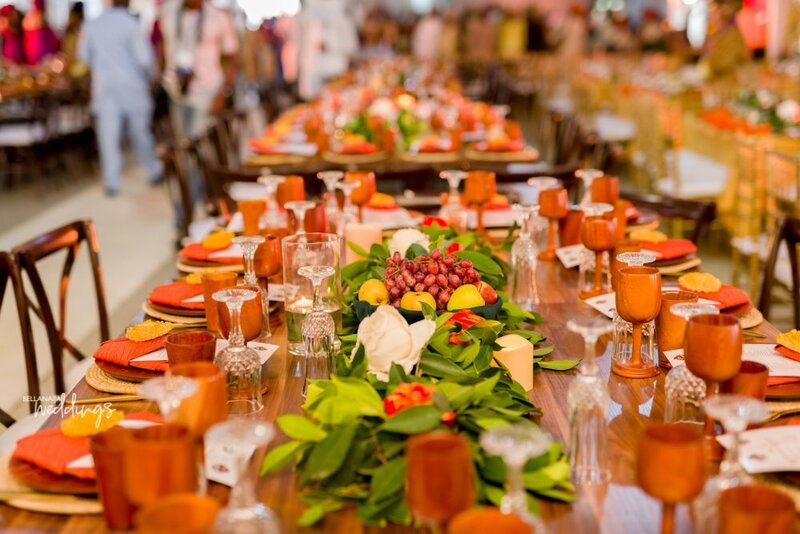 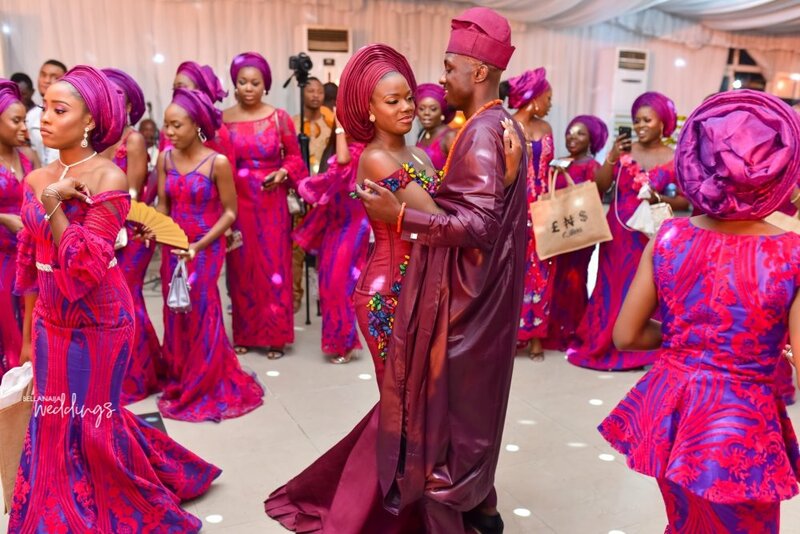 Every part of the ceremony brought out vibrant colours and the sweet love that exist within the couple. 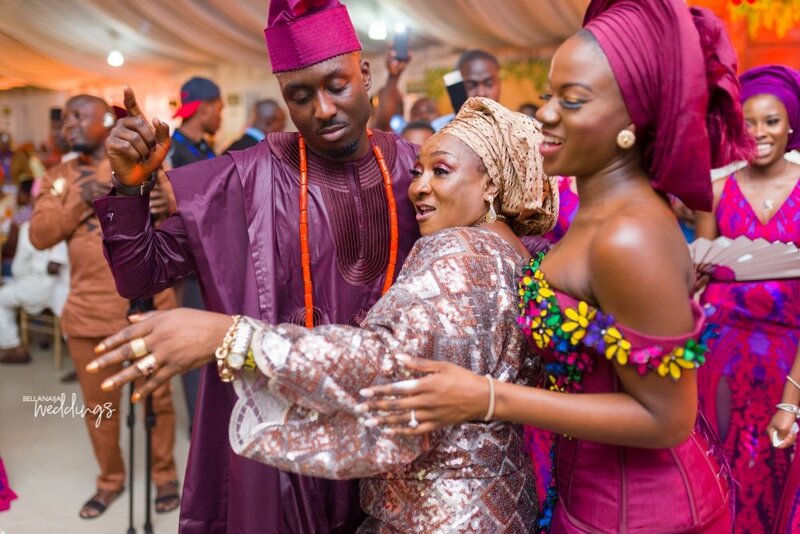 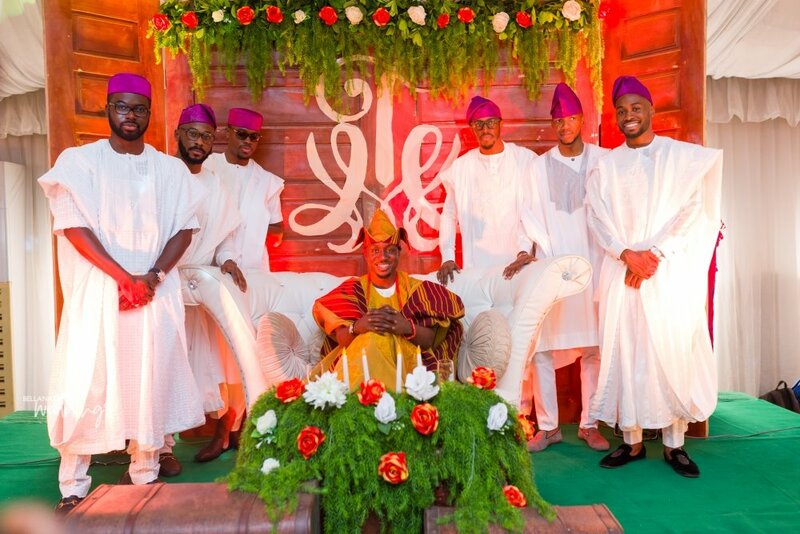 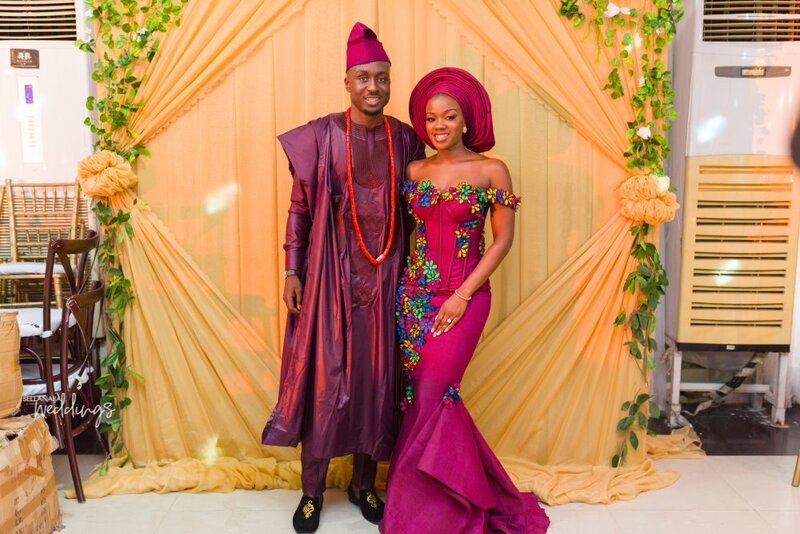 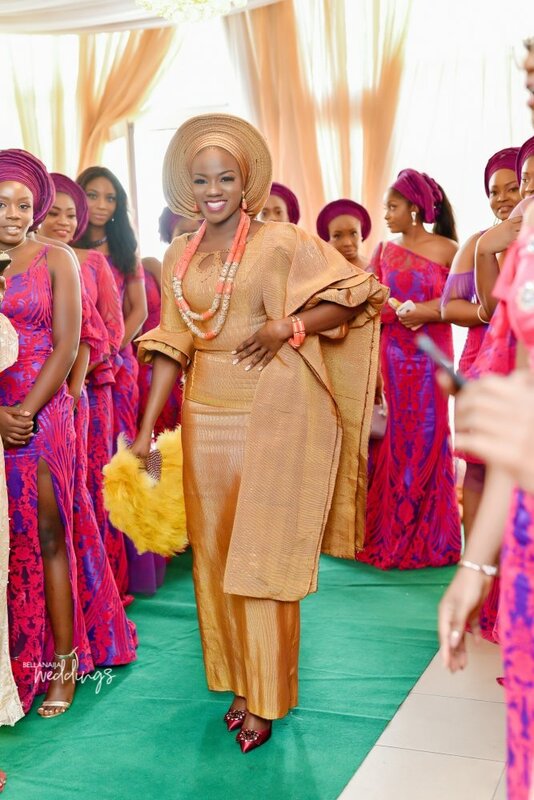 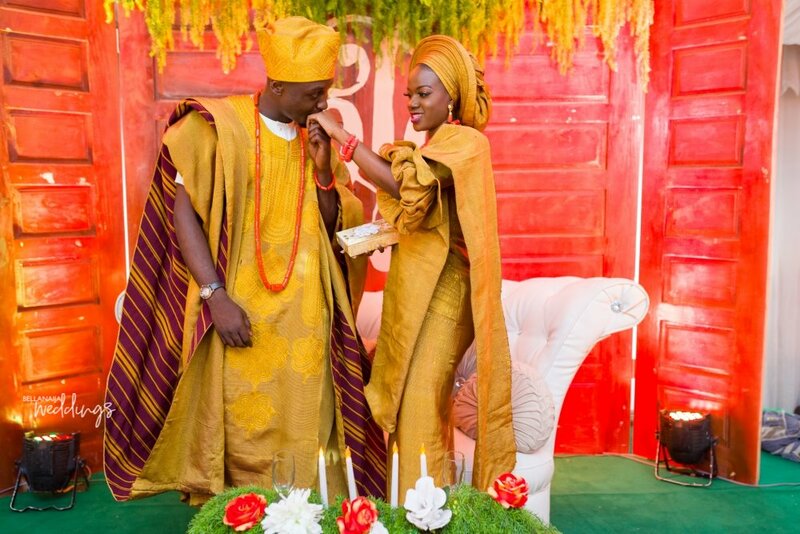 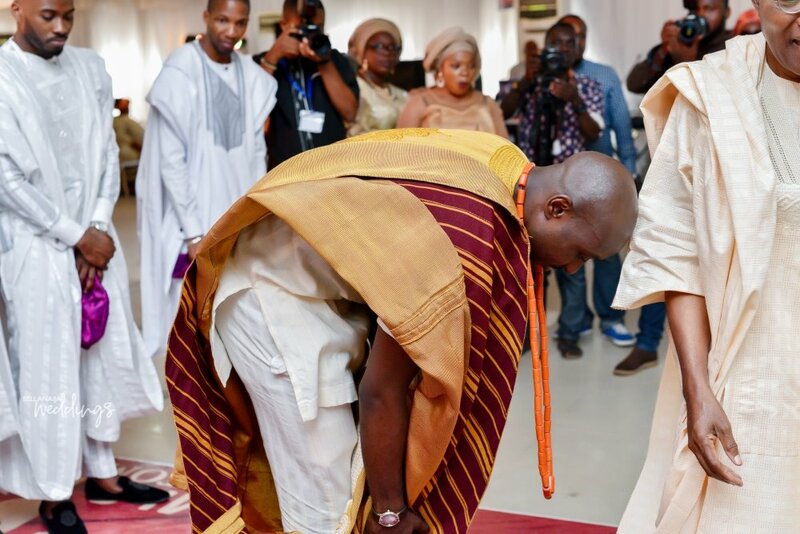 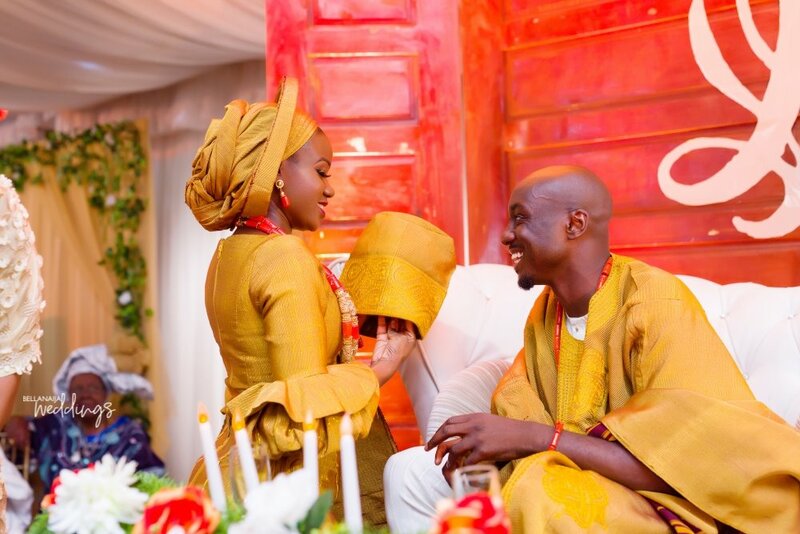 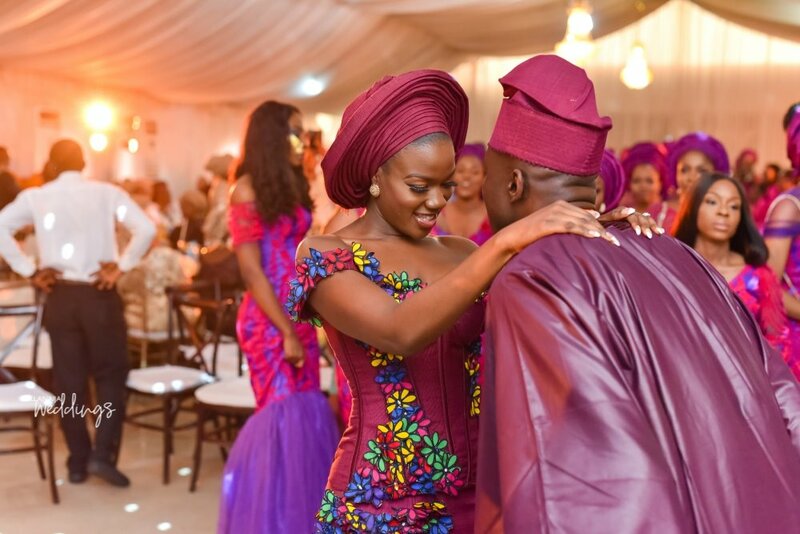 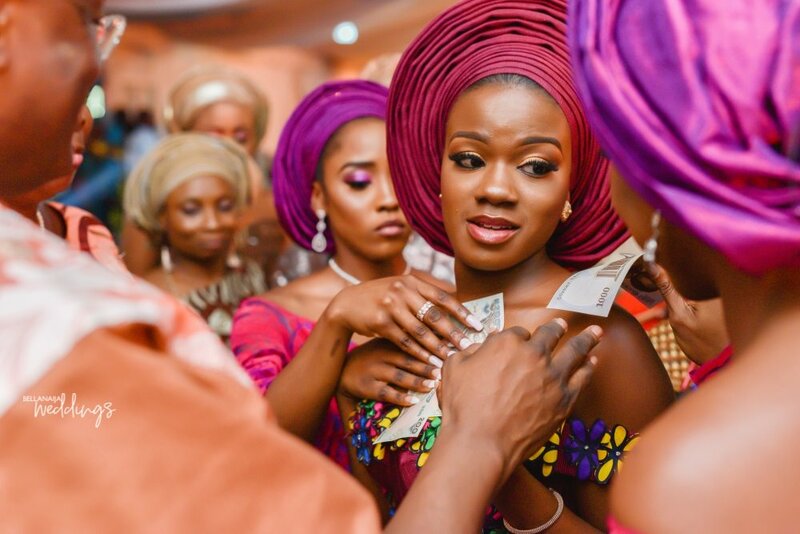 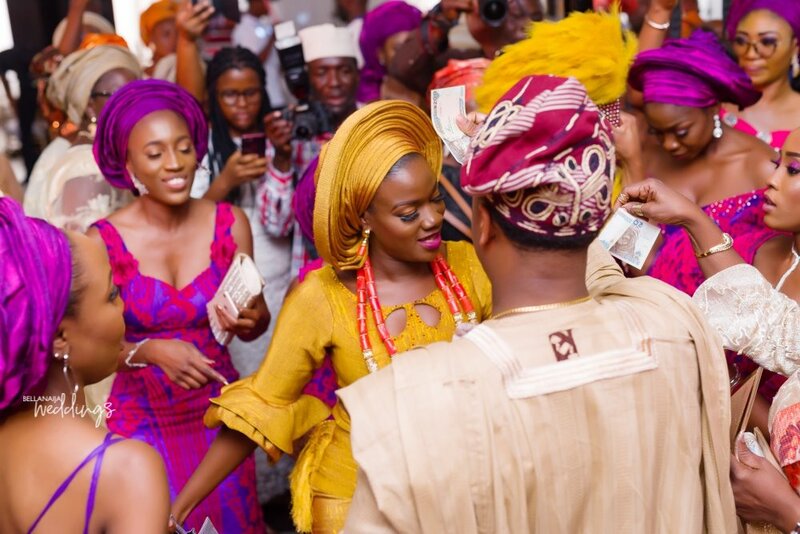 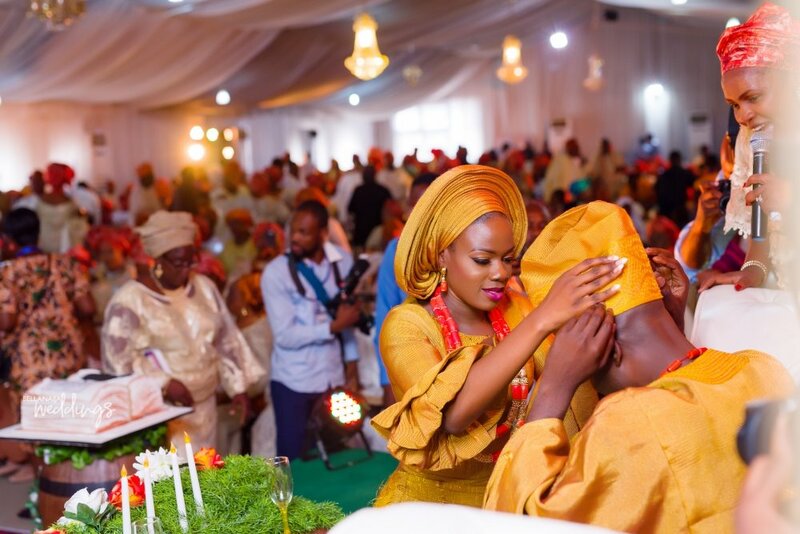 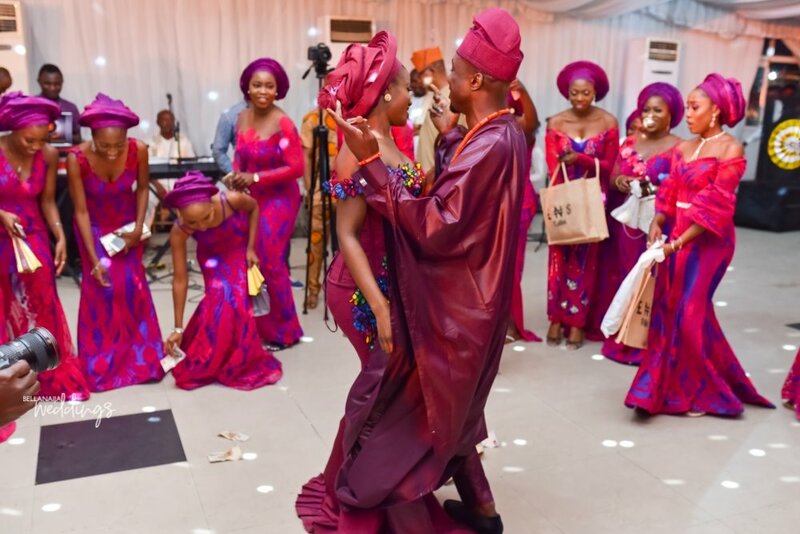 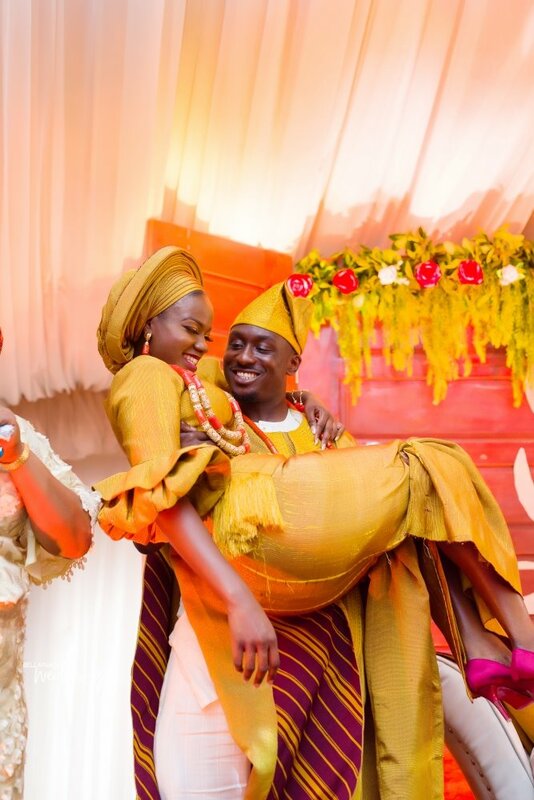 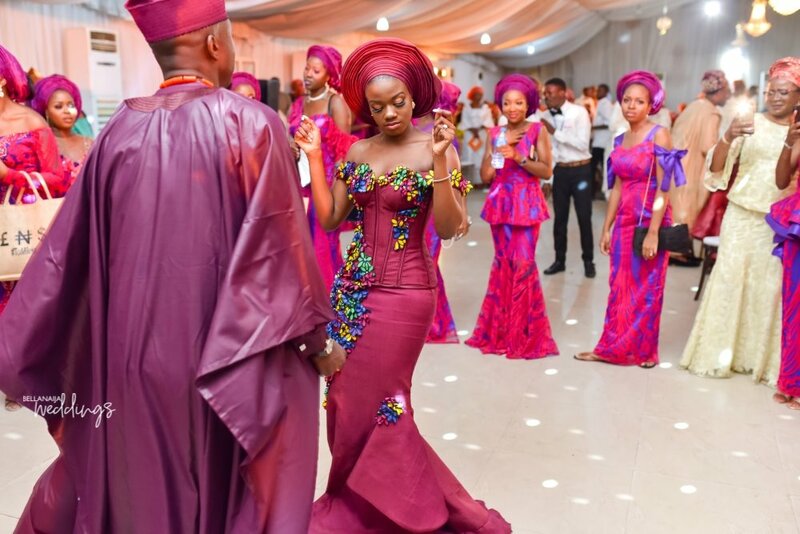 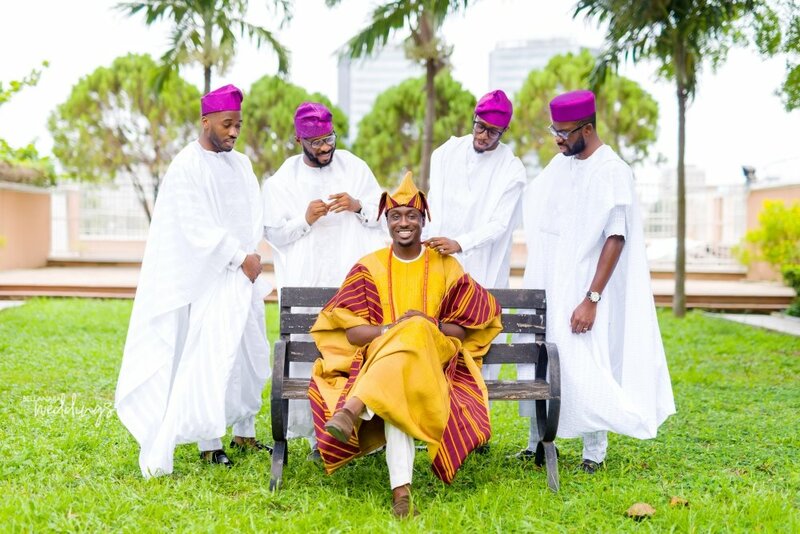 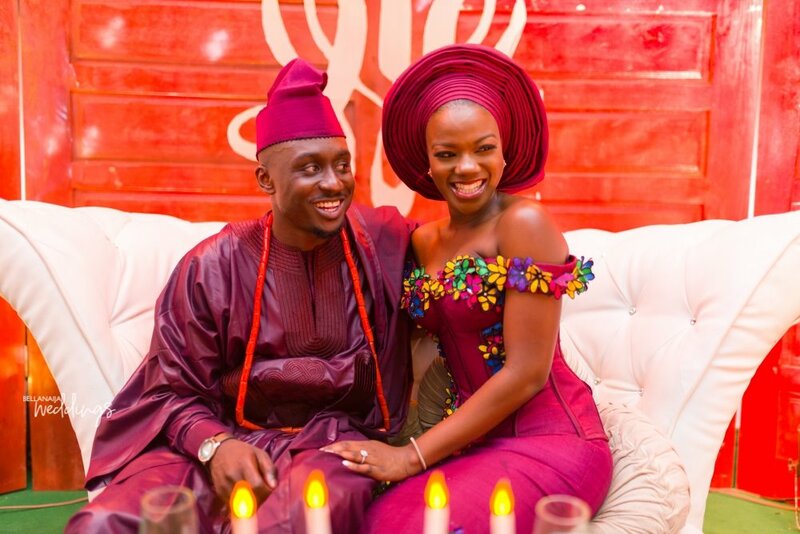 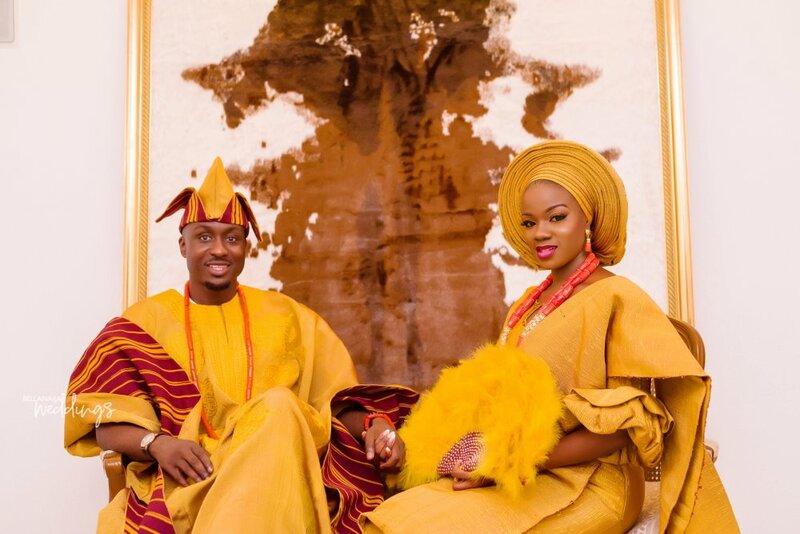 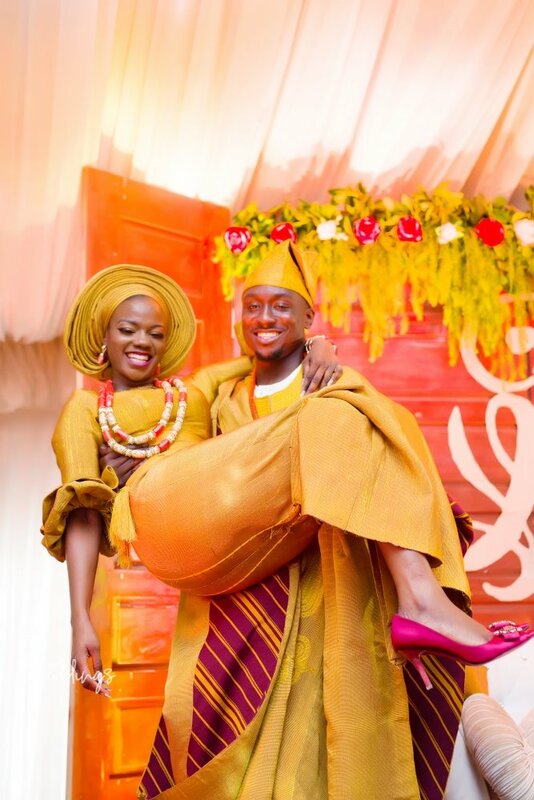 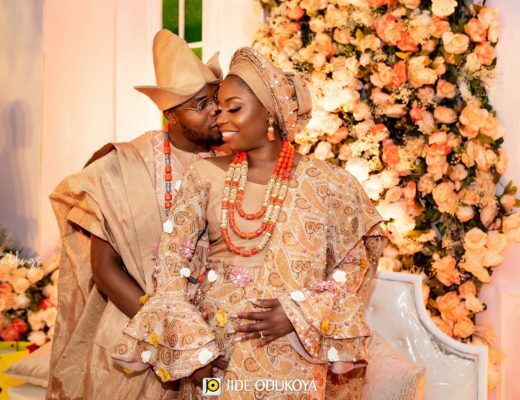 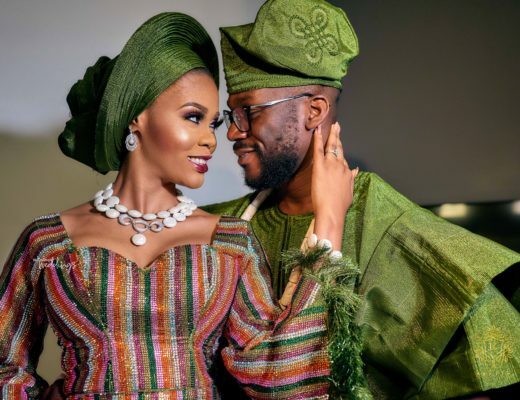 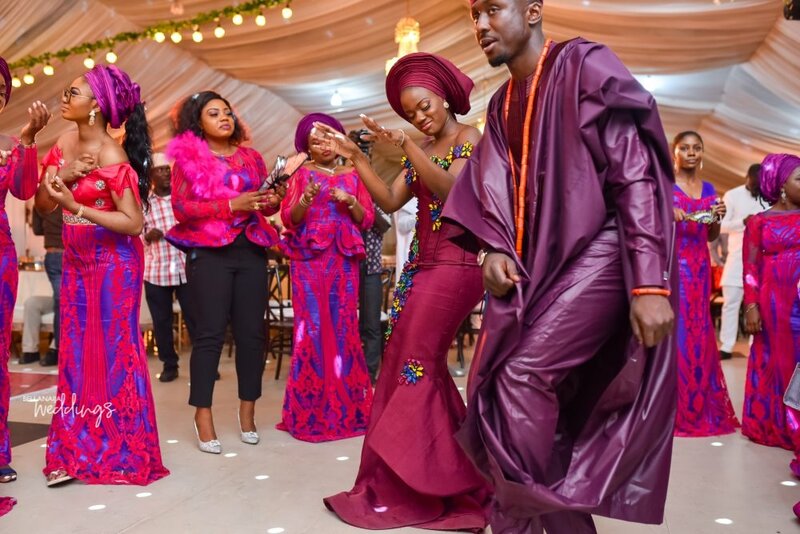 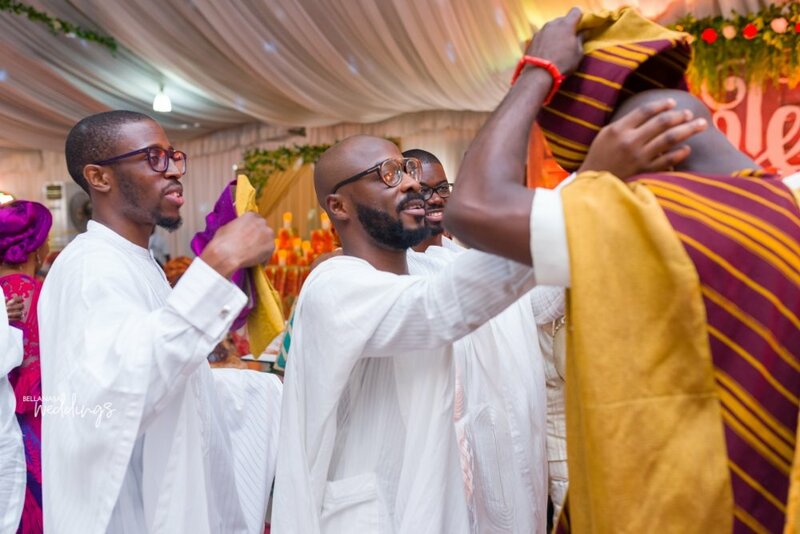 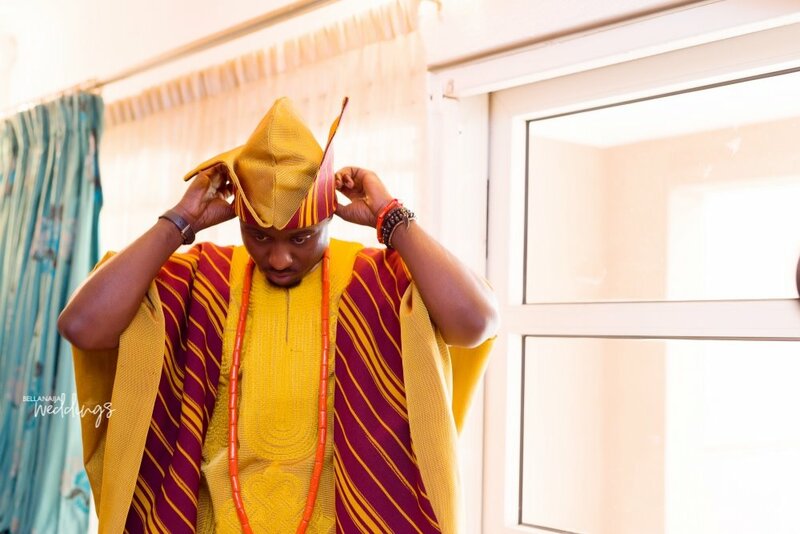 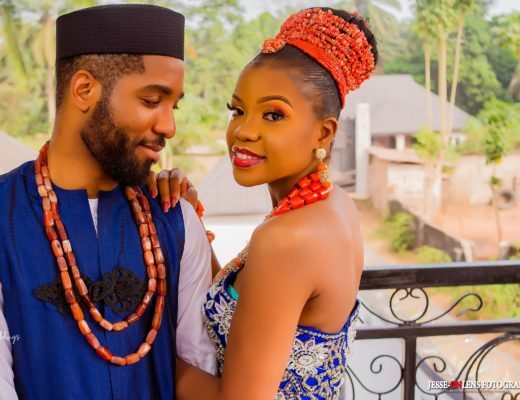 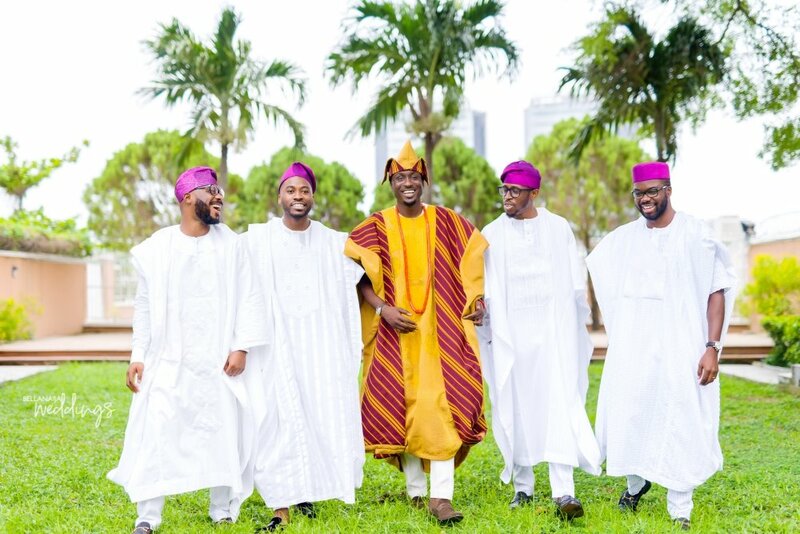 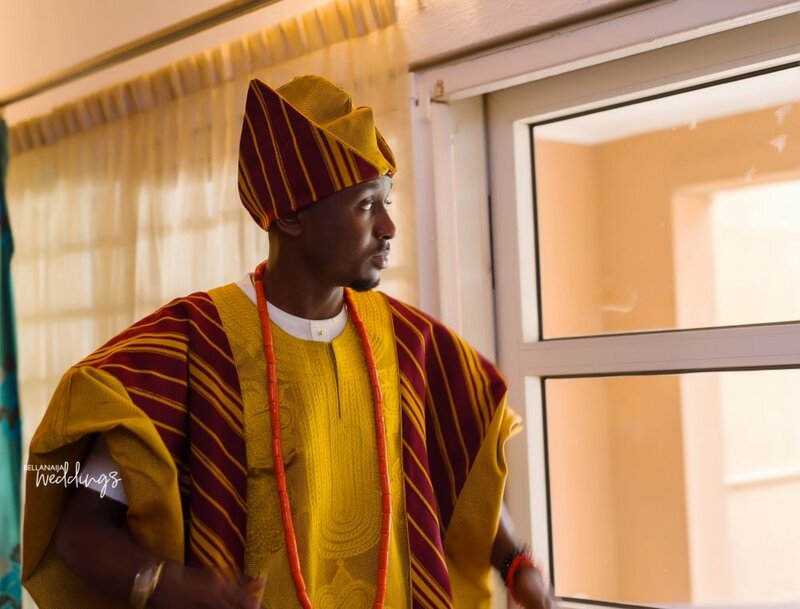 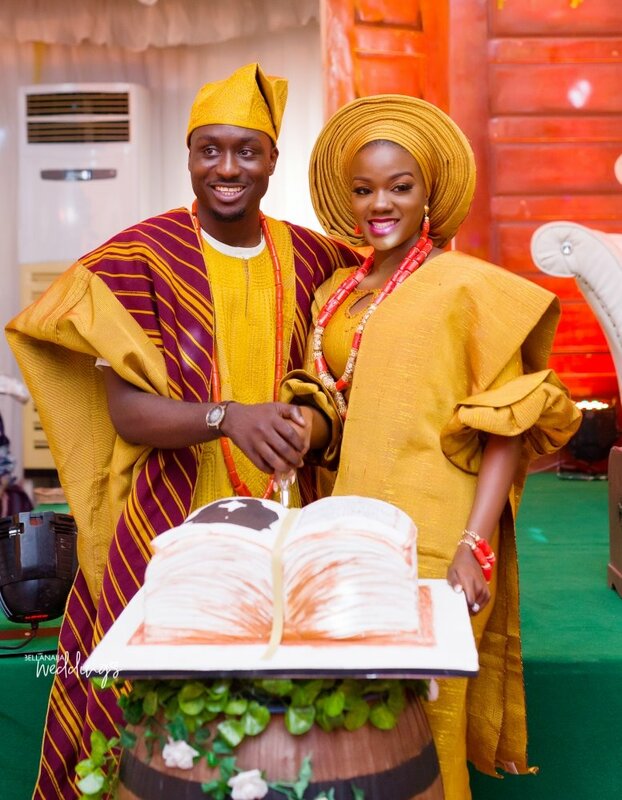 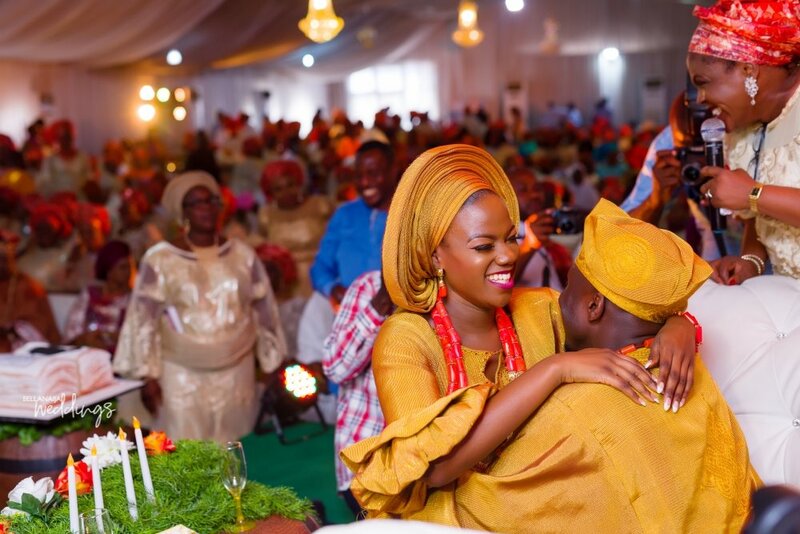 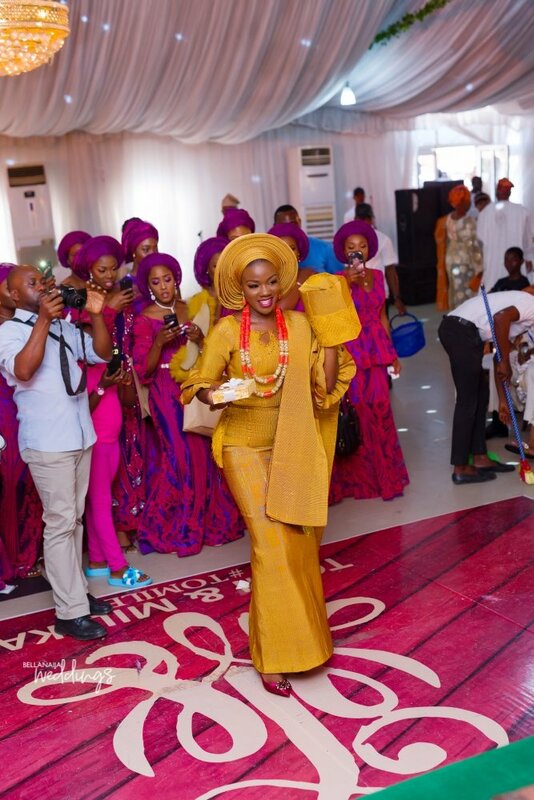 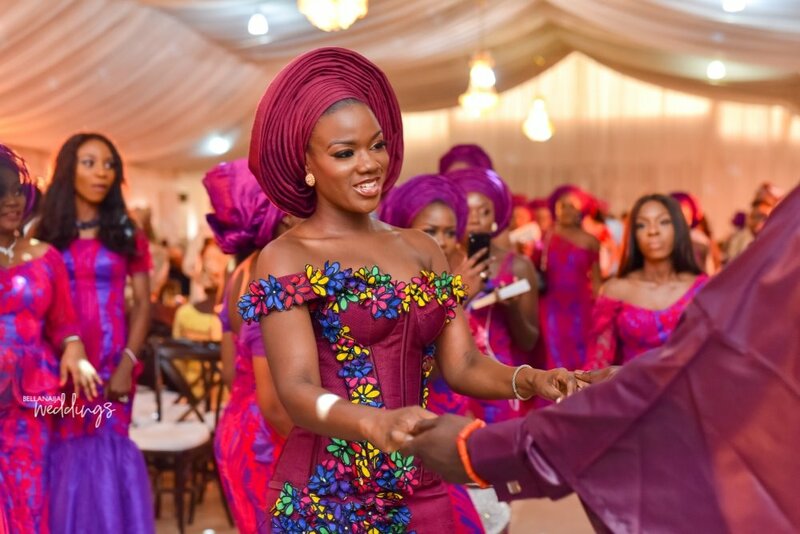 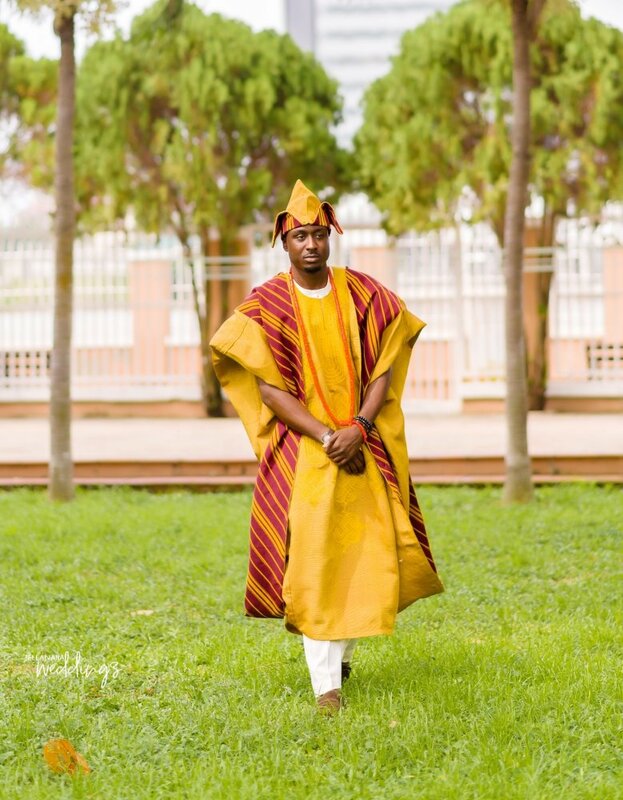 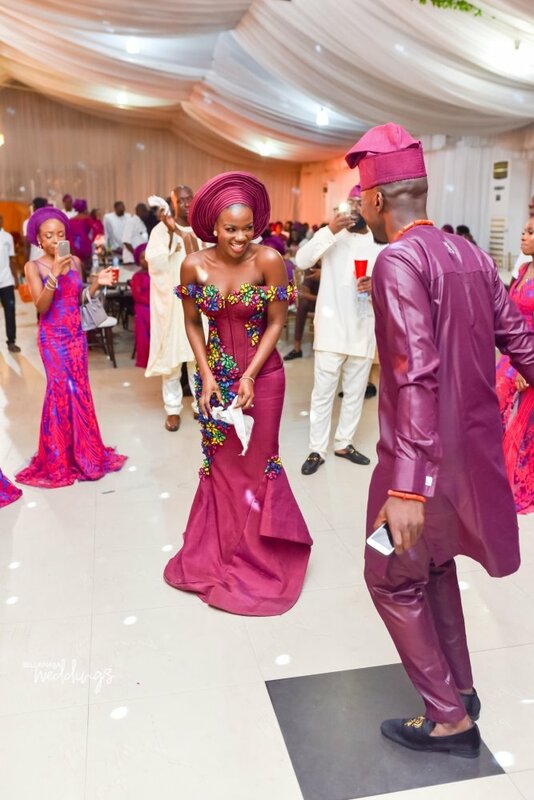 From their vintage-styled AsoOke look to their burgundy coloured second look, this couple sure slayed! 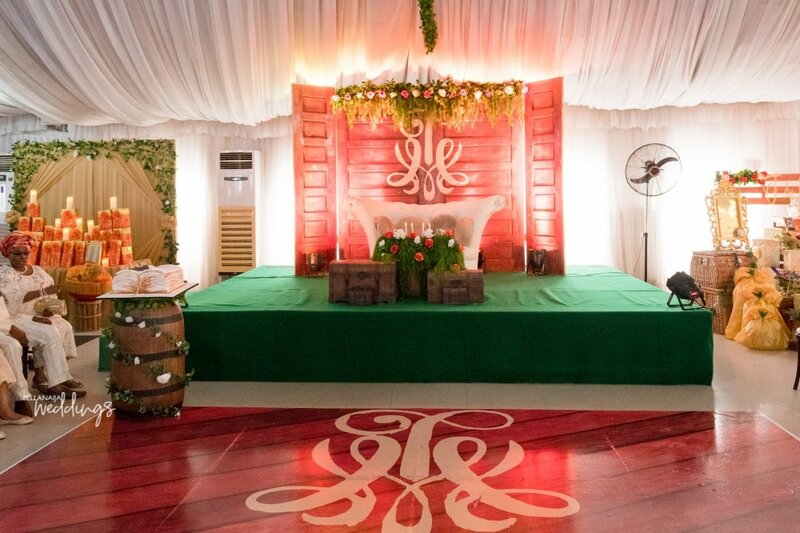 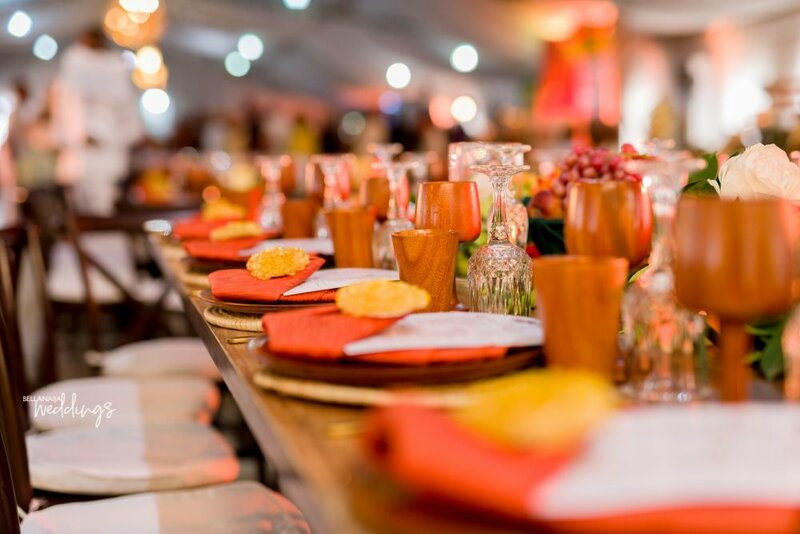 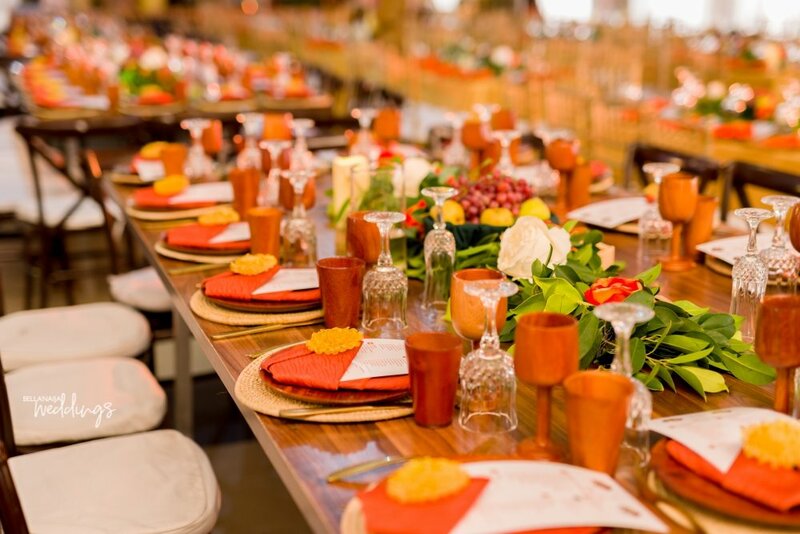 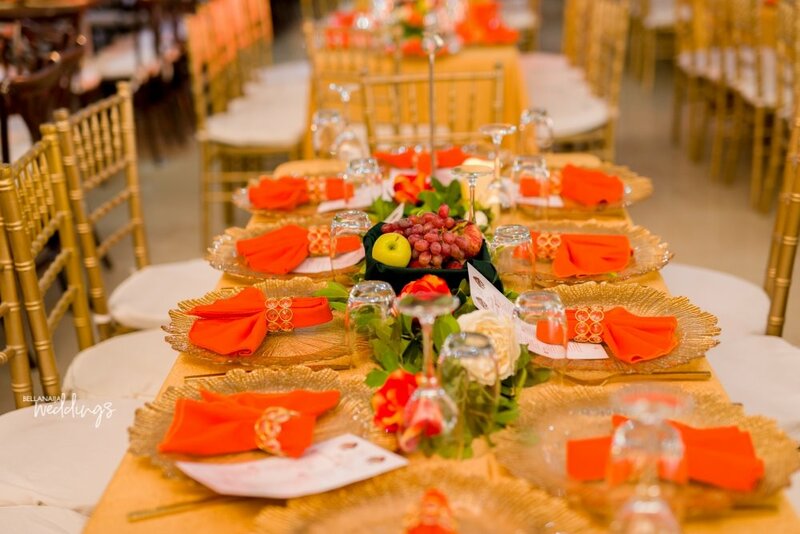 We spotted traditional gourds which people drank from and a Cowhide backdrop which added a unique touch to the decor. 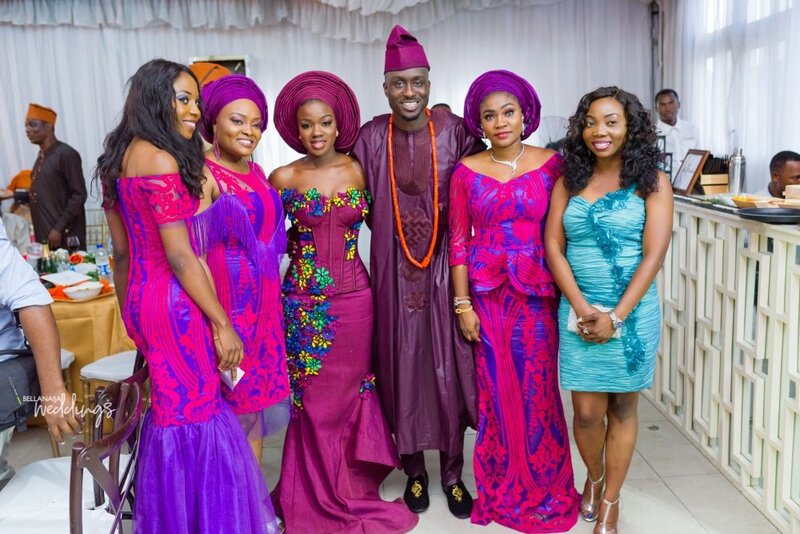 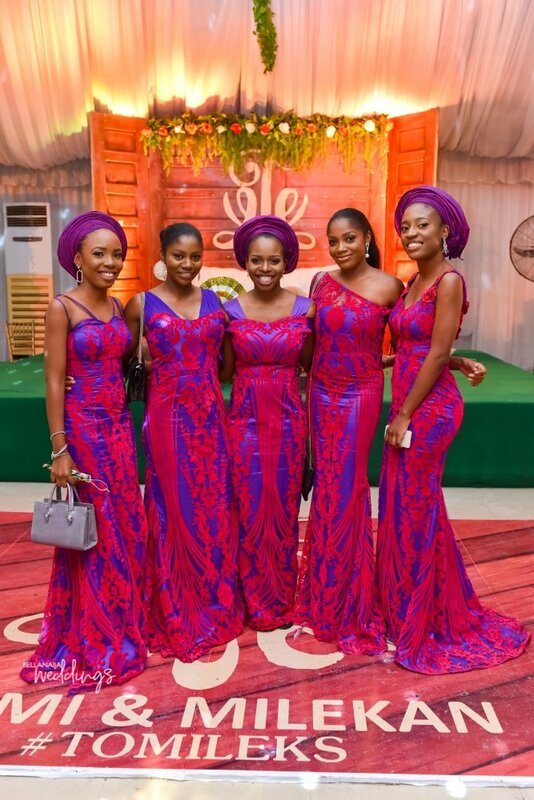 Oh the beautiful #AsoEbibella squad popped with their vibrant colours! 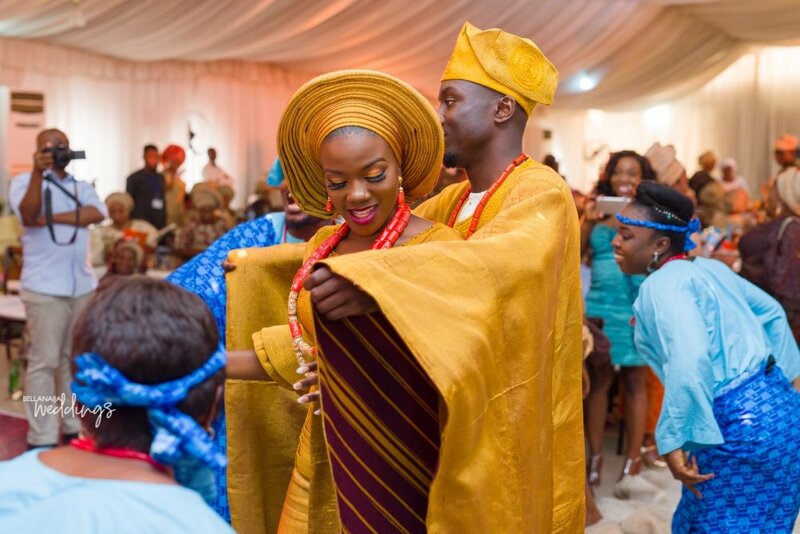 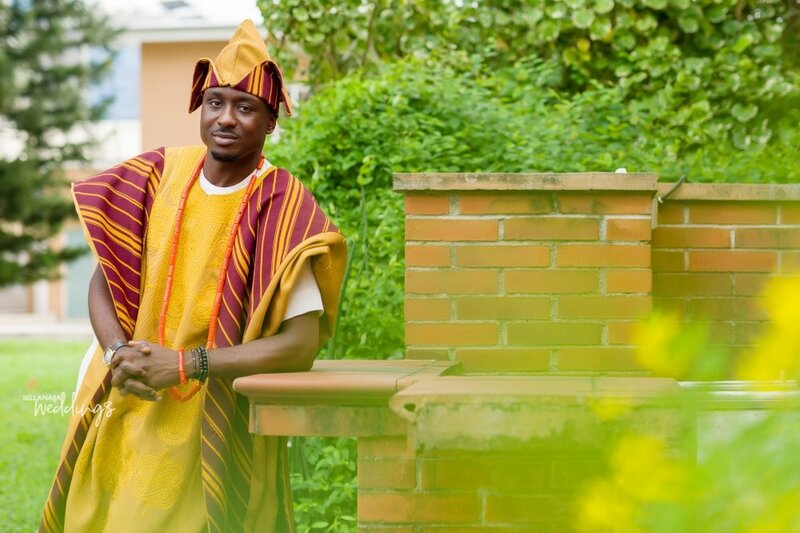 #TomiLeks traditional engagement was in one word – amazing! 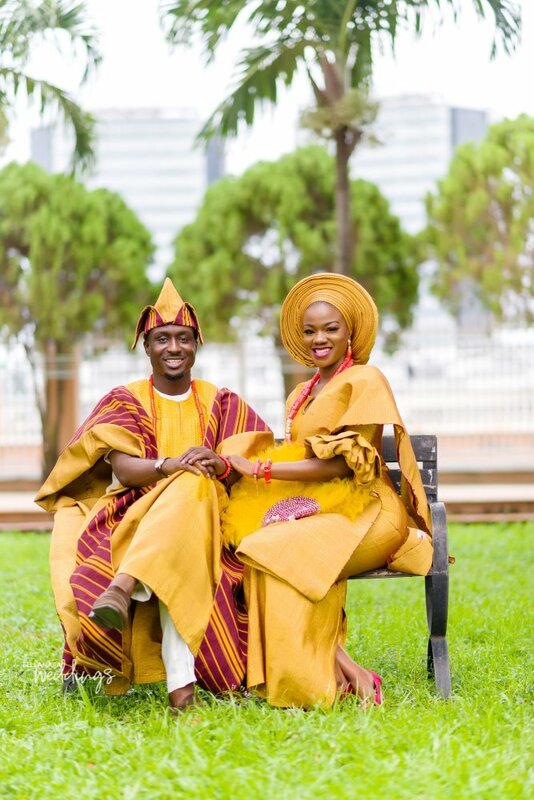 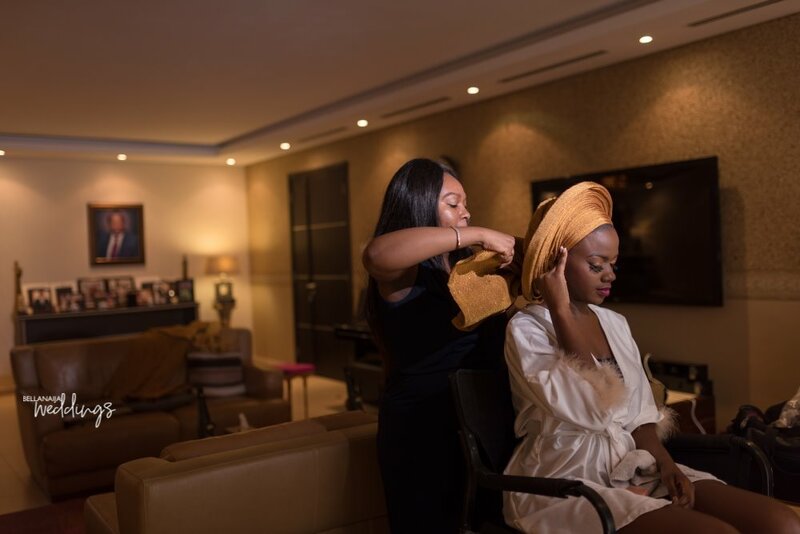 We also have their white wedding and Barcelona pre-wedding shoot up. 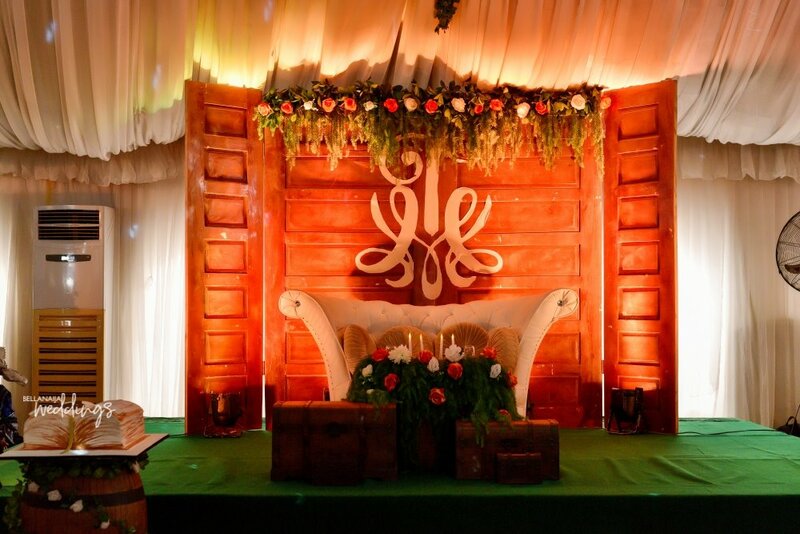 Do check them out. 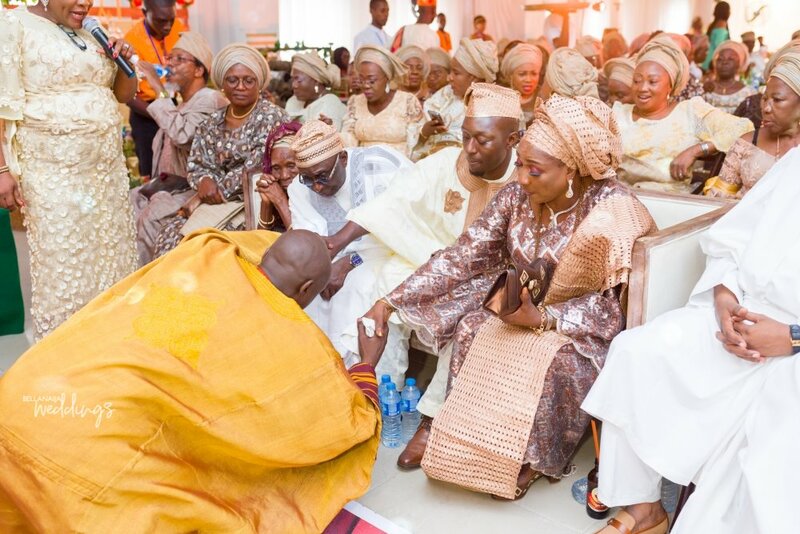 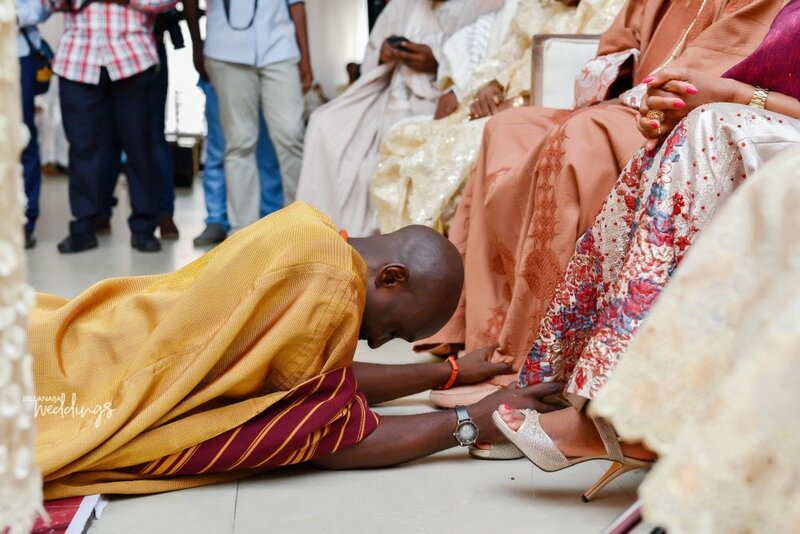 Now, let’s enjoy the traditional engagement below! 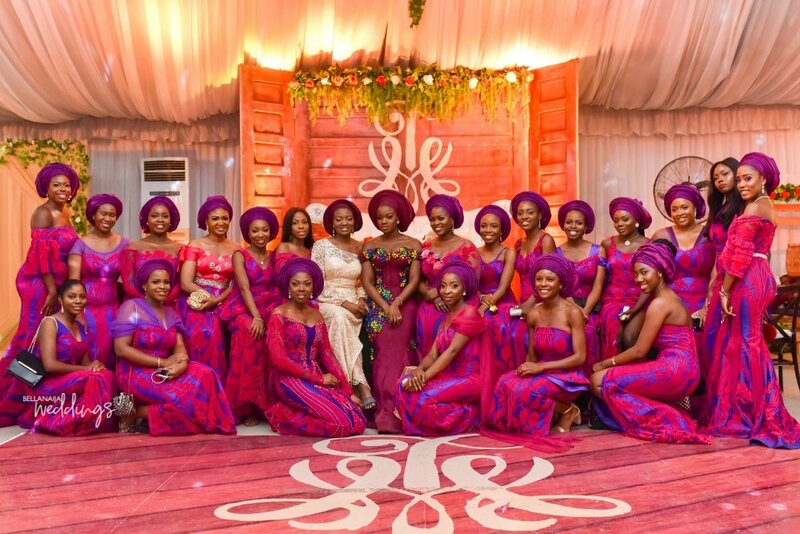 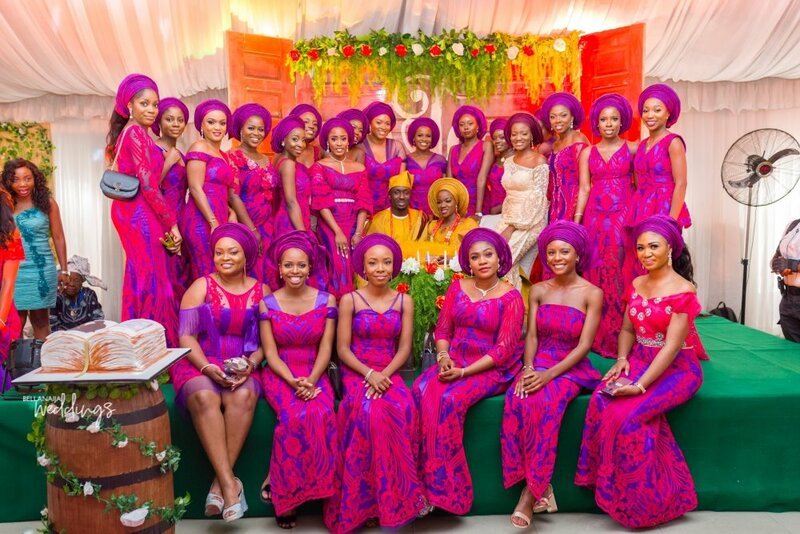 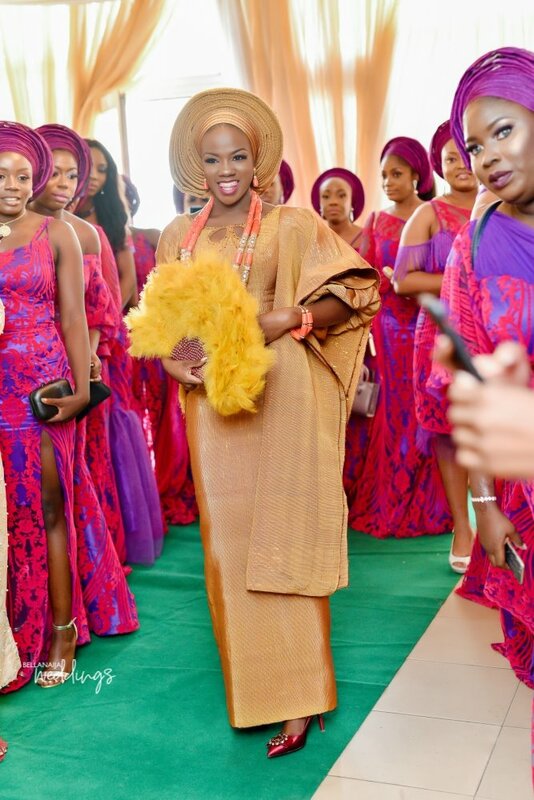 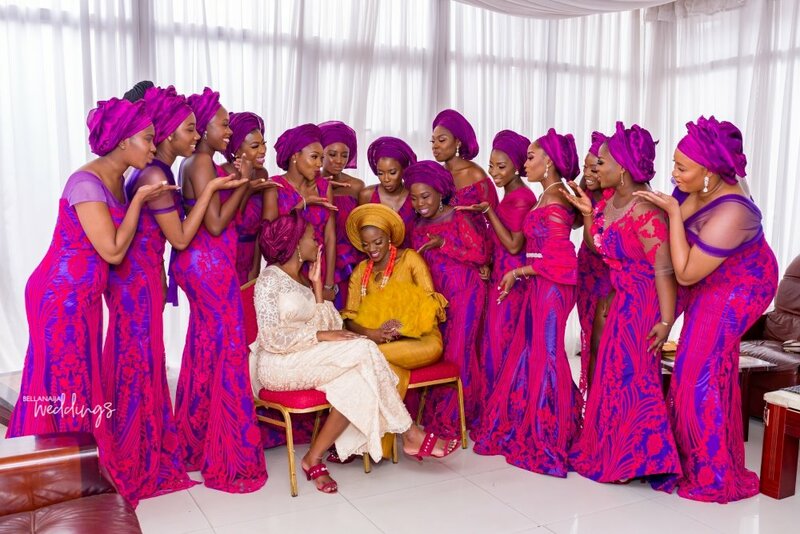 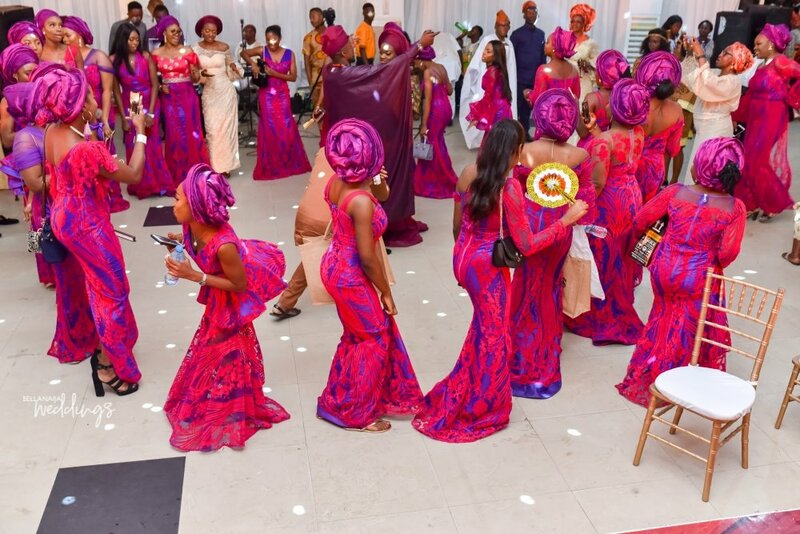 Tomi and her vibrant #AsoEbiBella tribe. 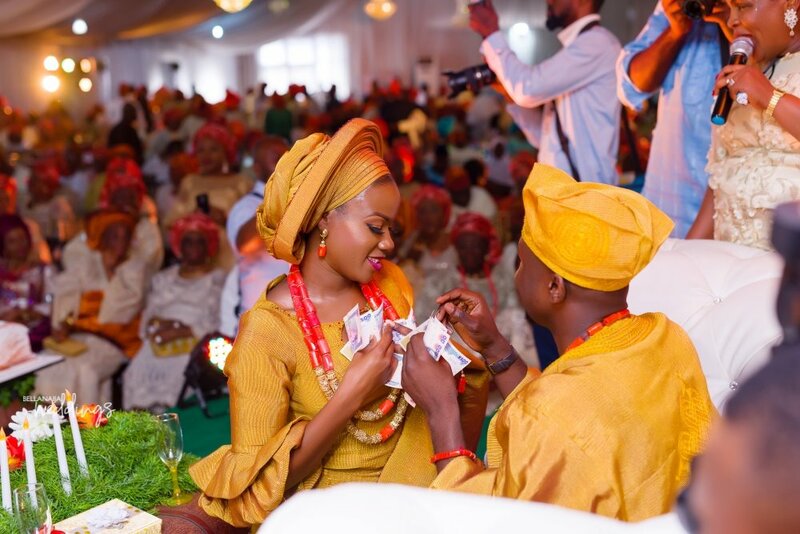 #Tsexperience2018 Traditional Engagement Had Fireworks!